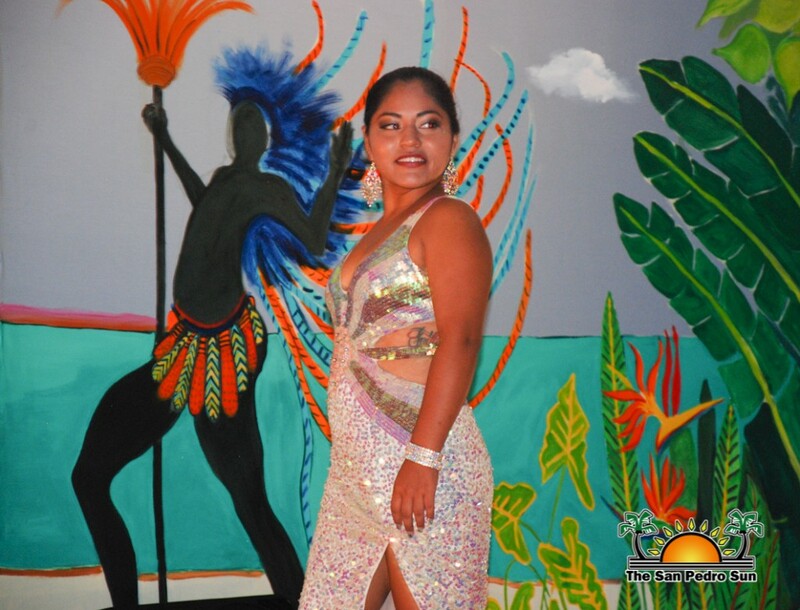 « Older: Costa Maya Festival® presents Miss Costa Rica!! 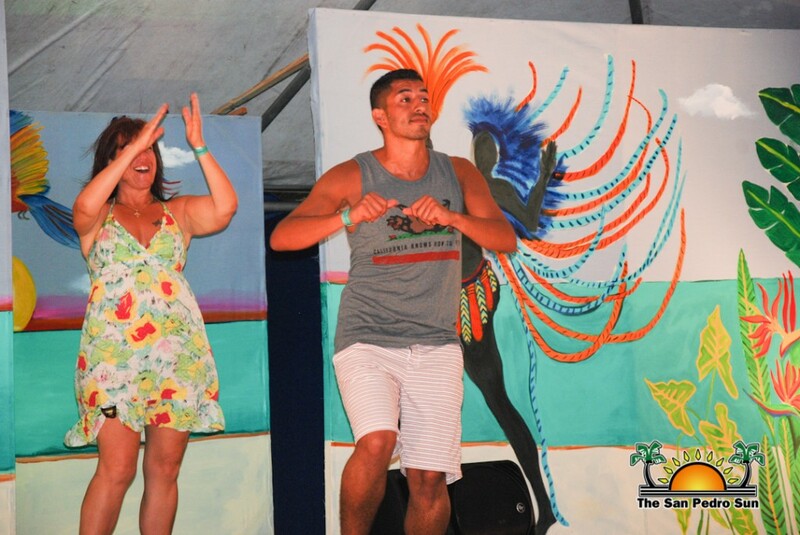 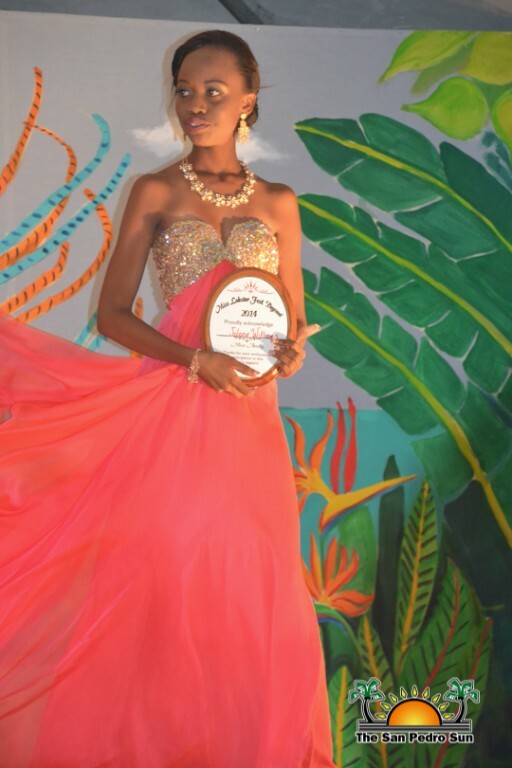 On Friday night, June 27th the tiny island of Caye Caulker personified all the glamour and glitz of a Hollywood fashion show when the CC Lobster Fest Committee hosted their annual Miss Lobster Fest Pageant. 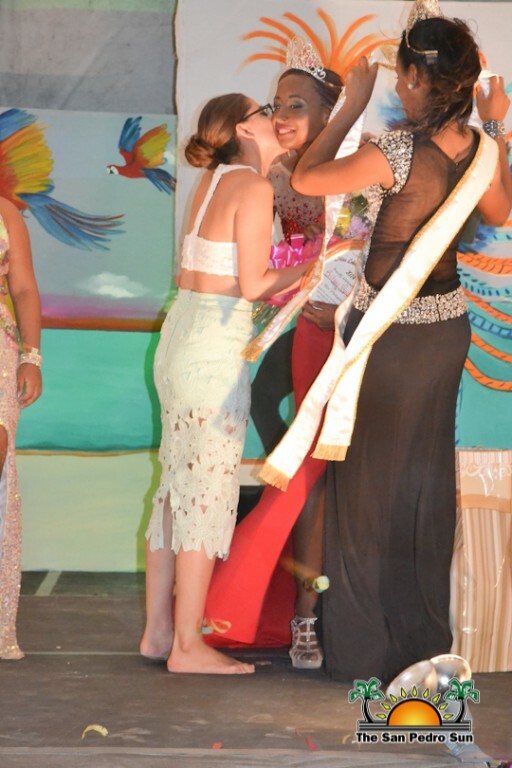 Britany Ysaguirre, Jessica Tzalam, Jolene Williams, Veida Gomez and Gleselie Chan, each as lovely as a movie star, competed for the coveted title and the chance to wear the sparkling orchid crown. 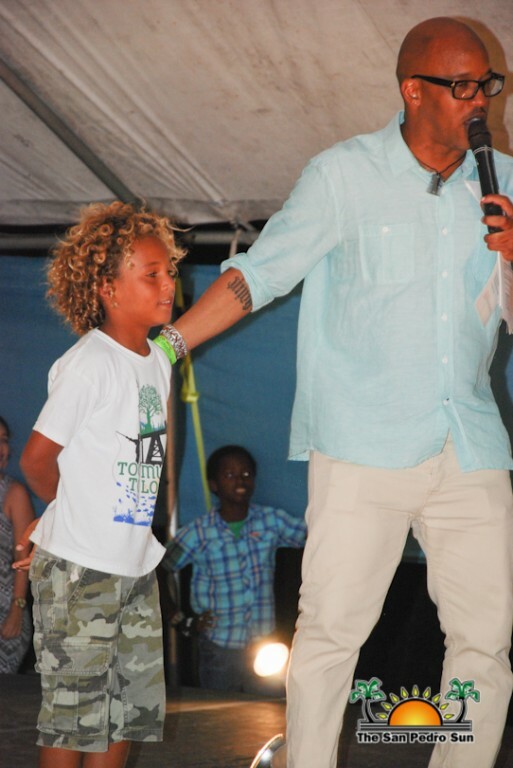 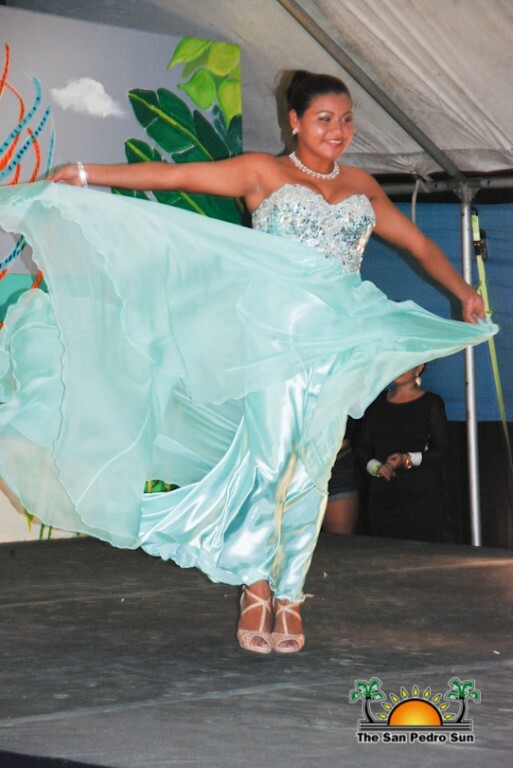 The pageant is something the community looks forward to each year and the seaside venue was packed with friends, family and fans, all rooting for their favorite contestant. 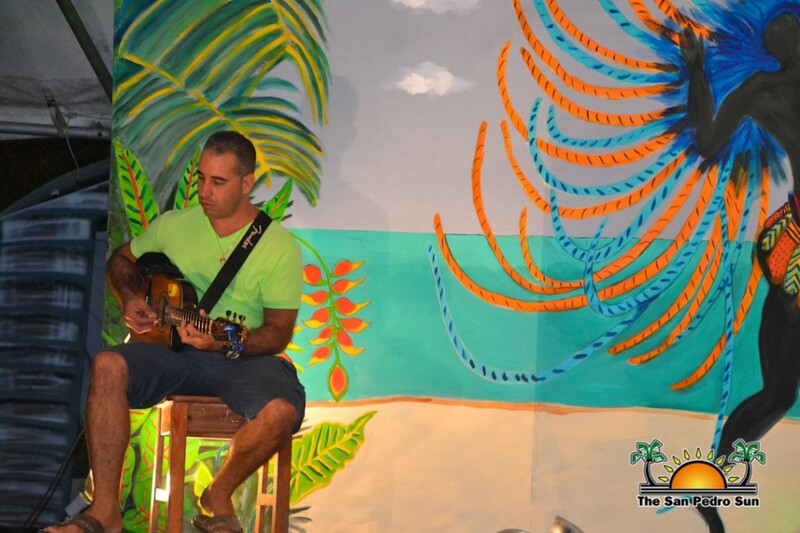 The evening event was hosted by the ever-entertaining William Neal, with great music provided by Blue Wave Sounds. 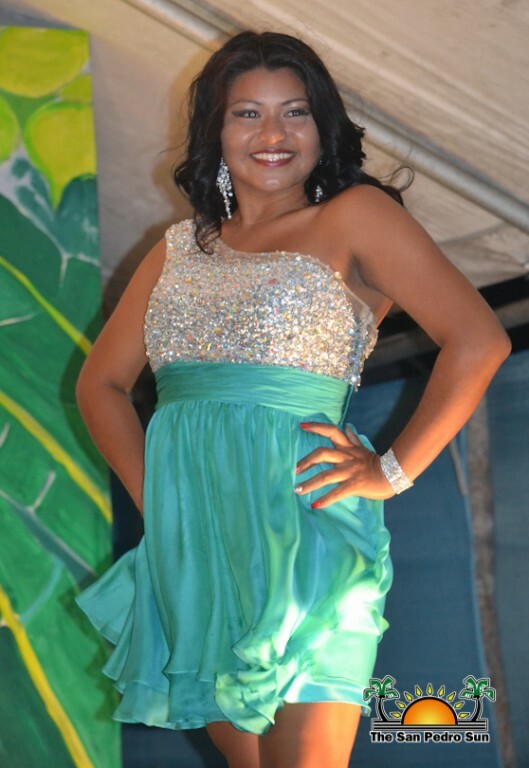 Outgoing queen Sherylee Dawson kicked-off the night with a greeting to the crowd. 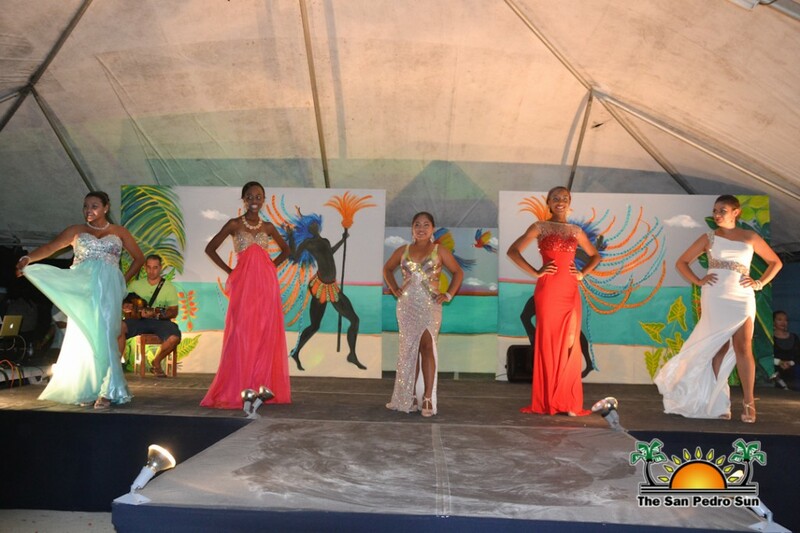 A dance performance by the contestants followed, with each girl introducing herself at the microphone. 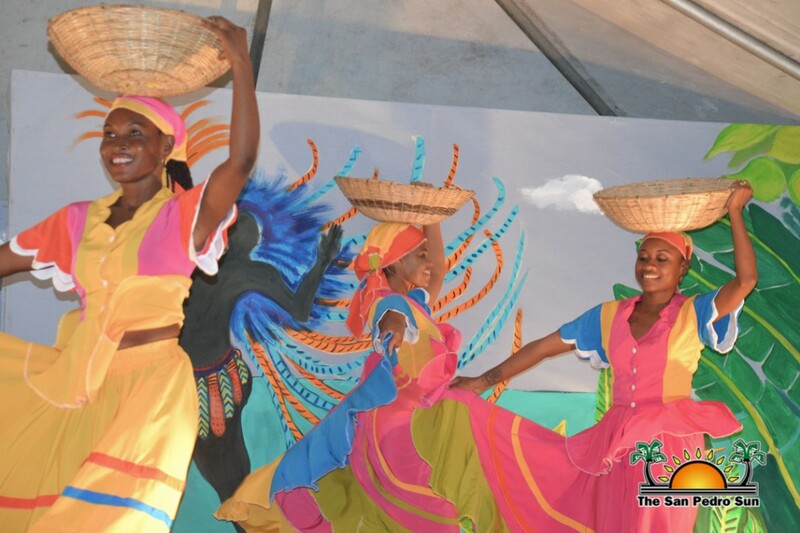 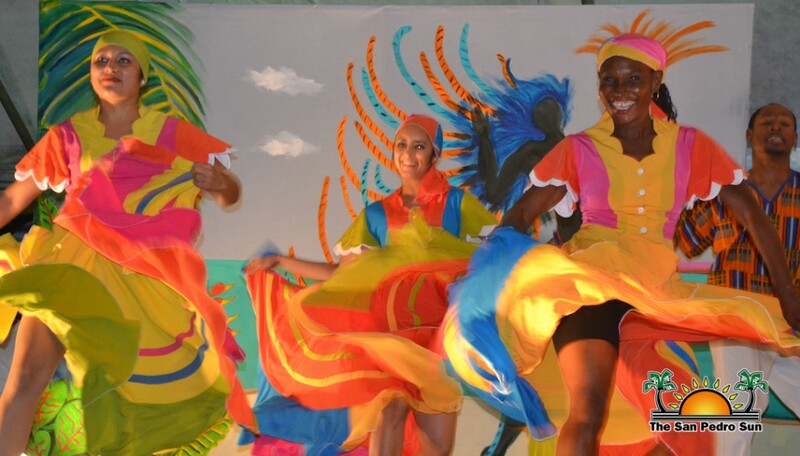 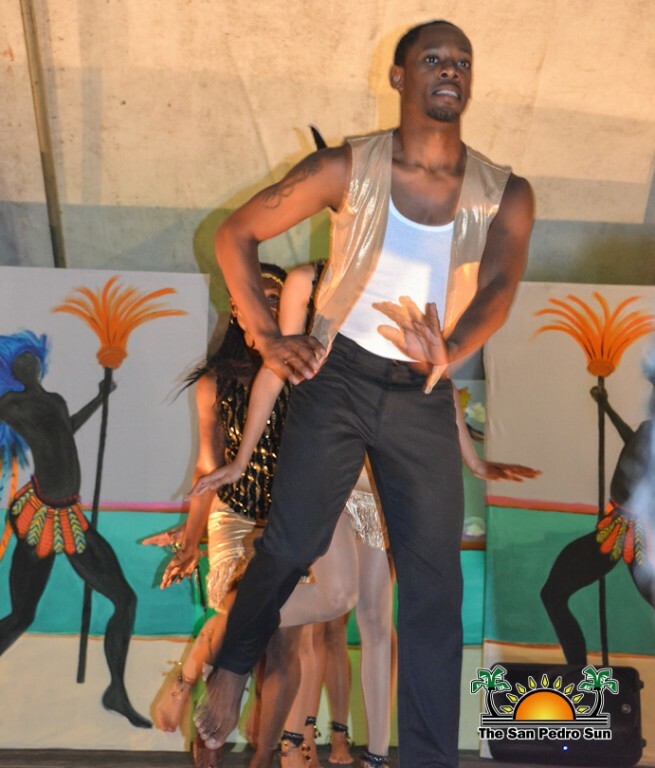 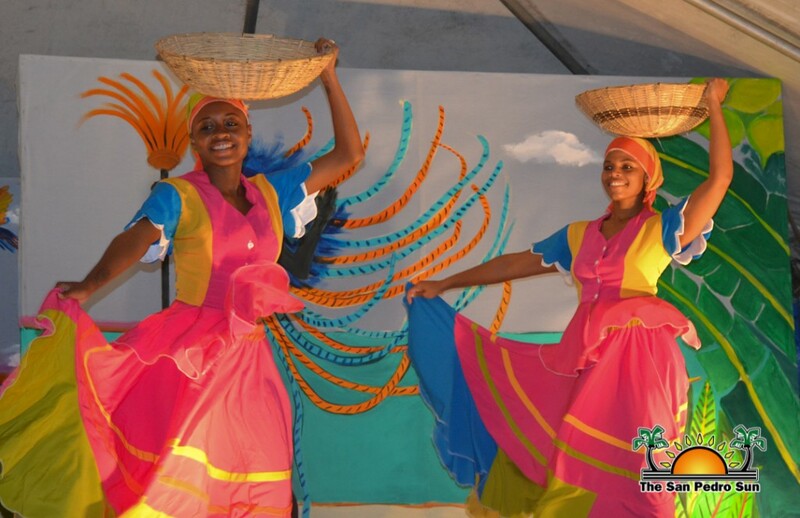 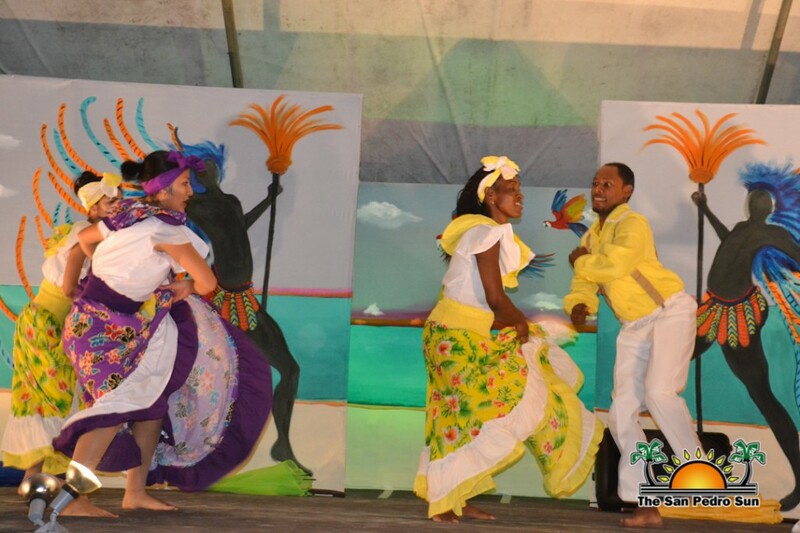 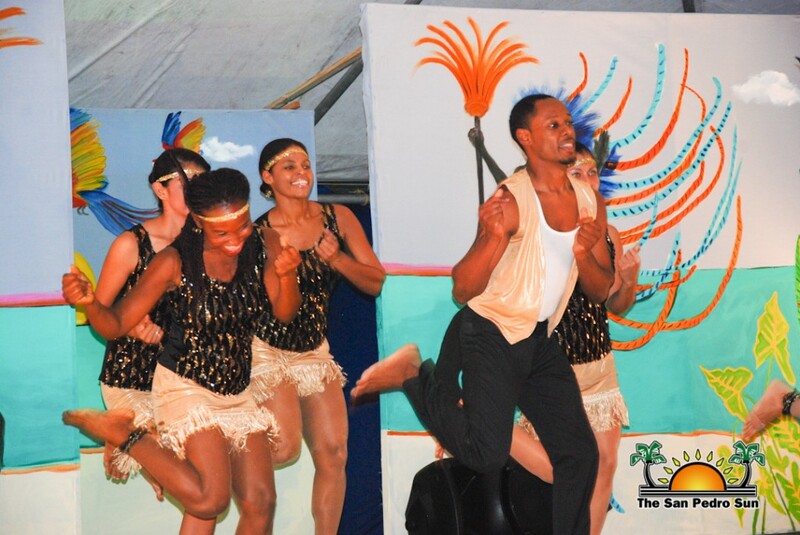 During wardrobe changes the audience was entertained by the talented and colorful, Belize National Dance Company, performing dances ranging from the 1920's classic Charleston to traditional Garifuna and Mestizo dances. 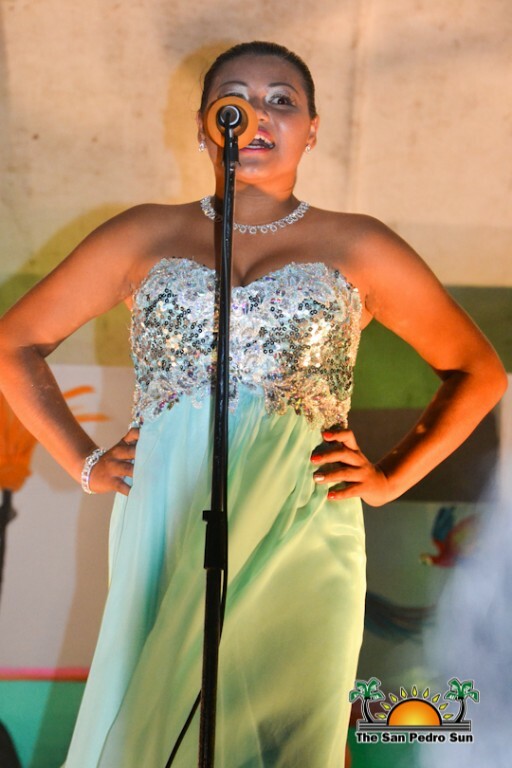 San Pedro's very own Natalie Arceo also delighted the crowd with a variety of popular songs as well as her own originals. 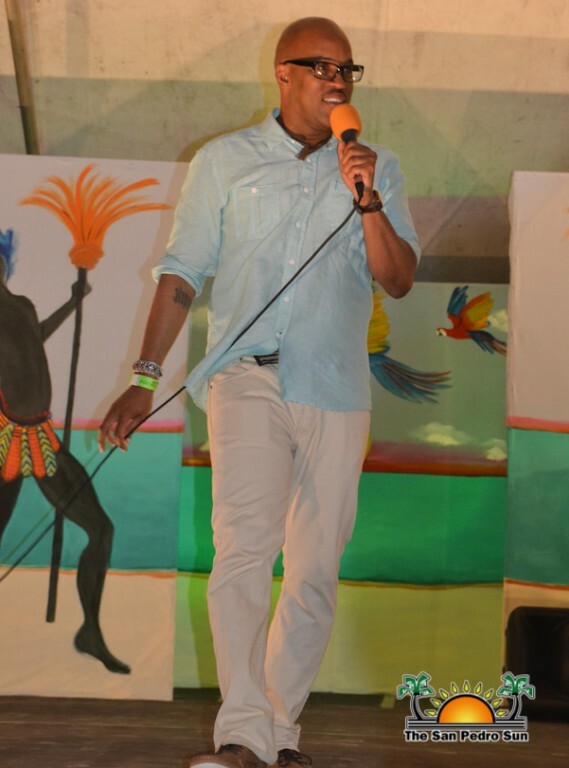 Mr. Neal kept the crowd amused with his antics, inviting people from the audience to show off their 'Wobble' dance moves. 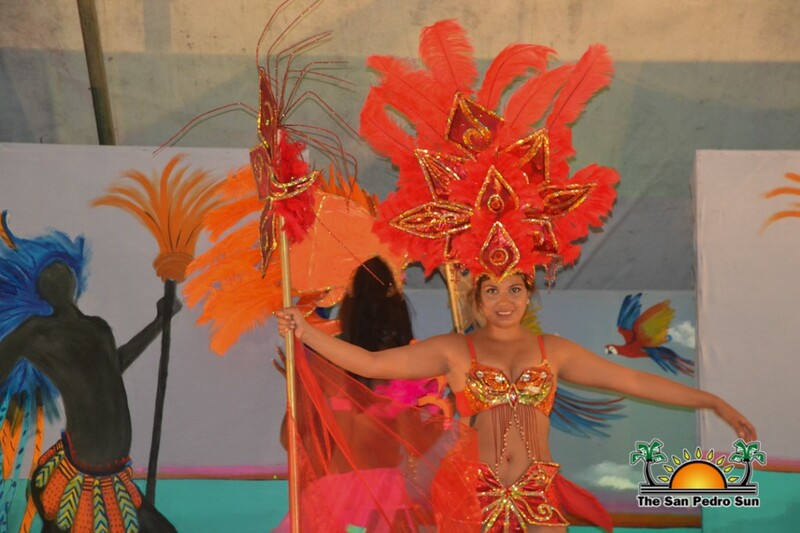 After declaring both impromptu dancers winners, it was time for the costume segment of the pageant. 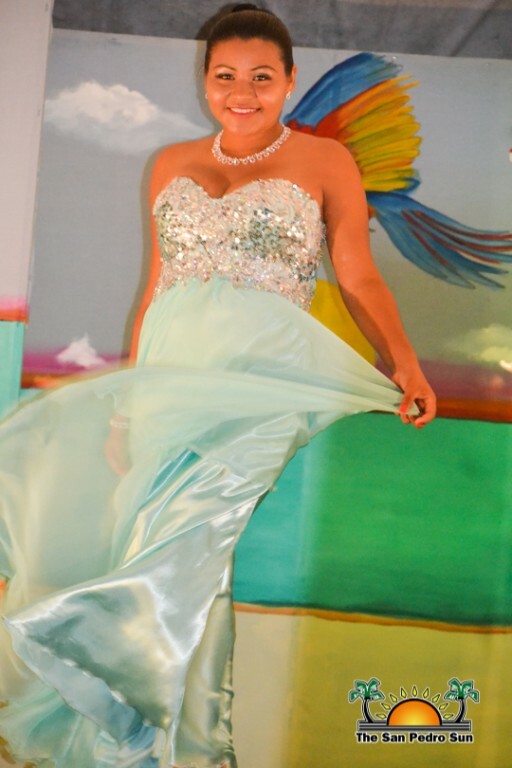 Designer Gabriel Garcia once again had the privilege of designing this year’s costumes, under the theme “Color”....and wow what color it was! 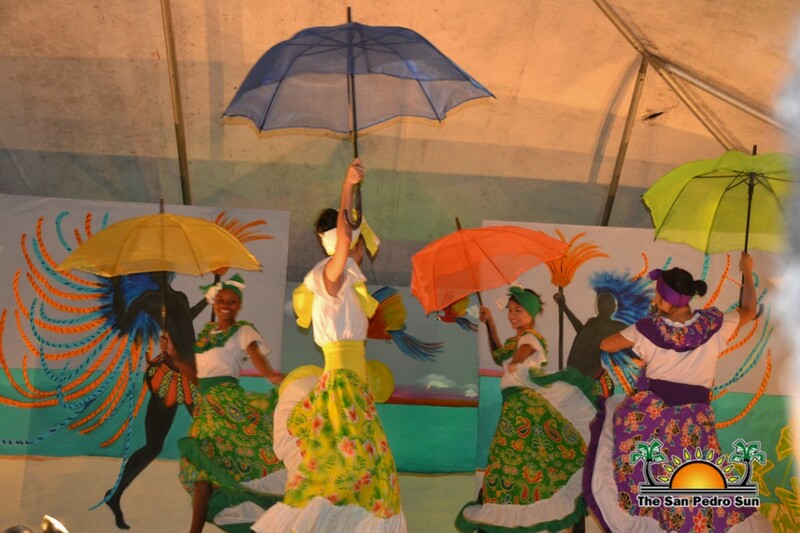 Donning impressive headdresses that the ocean breeze threatened to carry off, each constant wore the attire with grace and pizzazz. 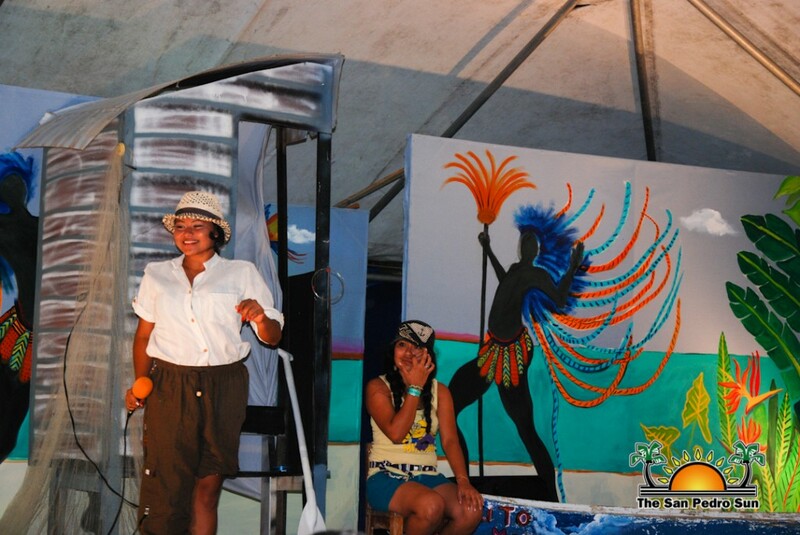 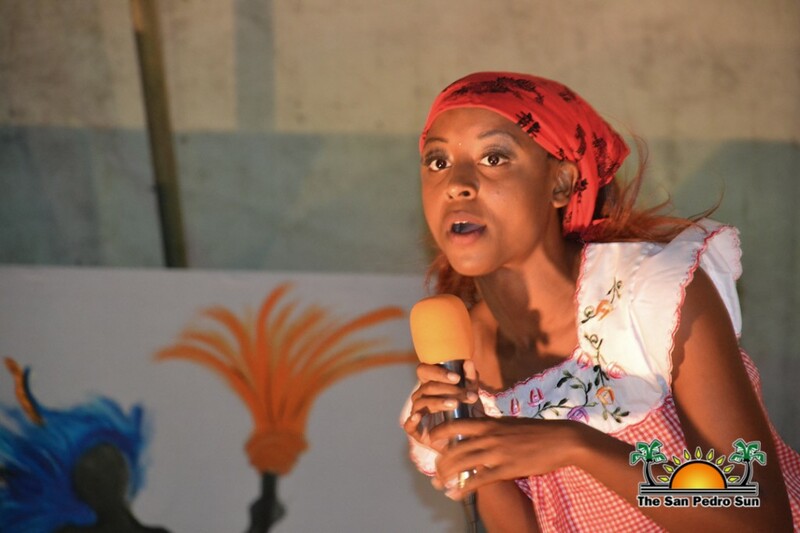 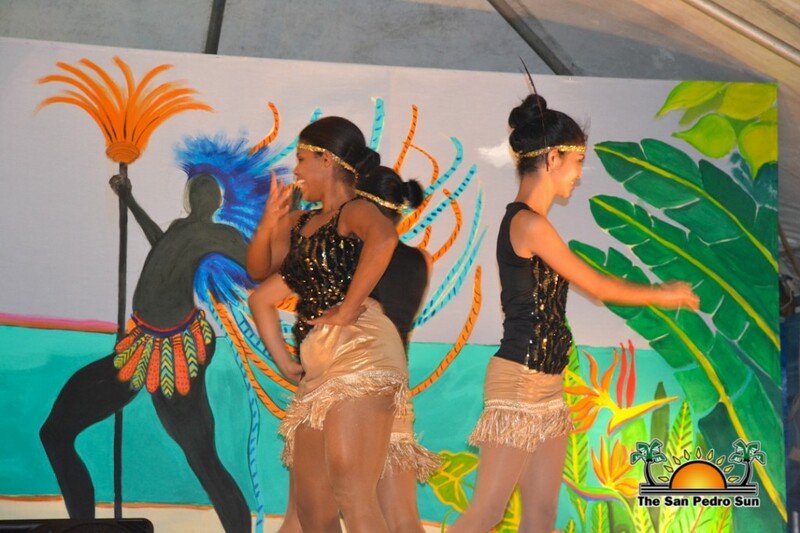 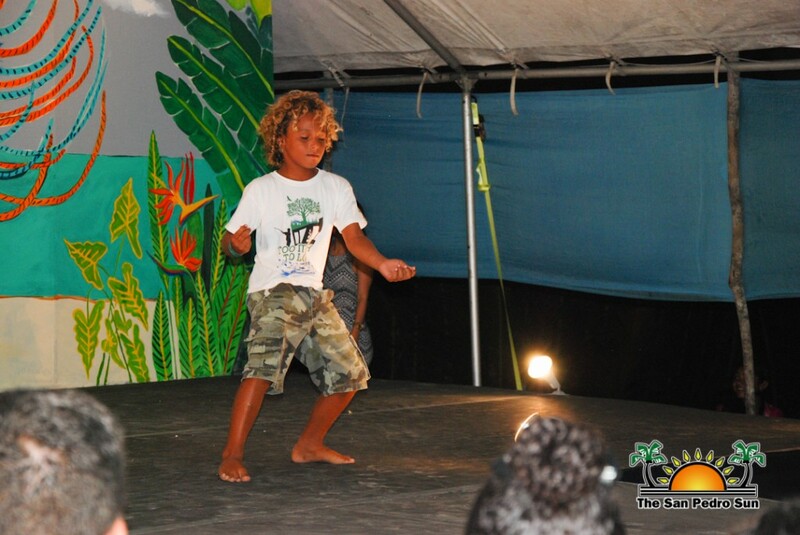 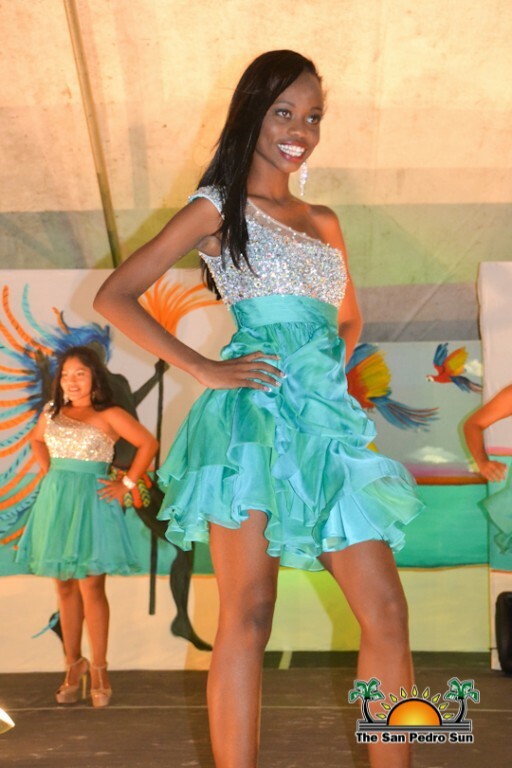 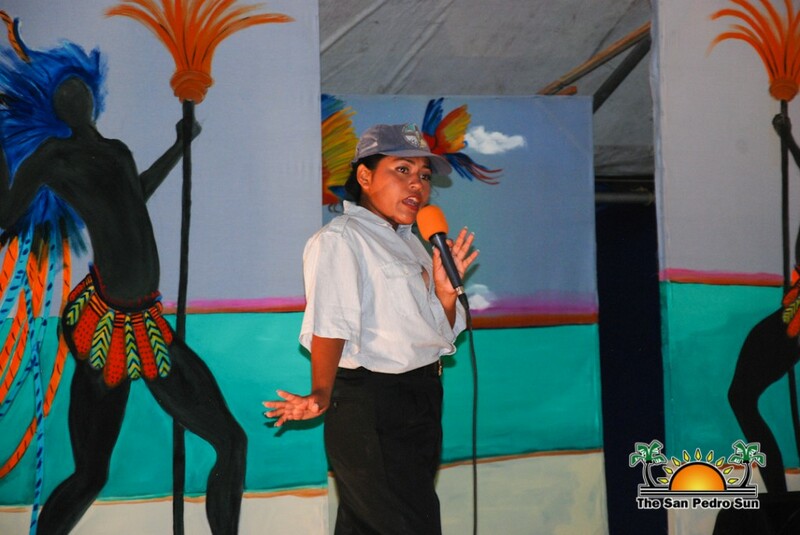 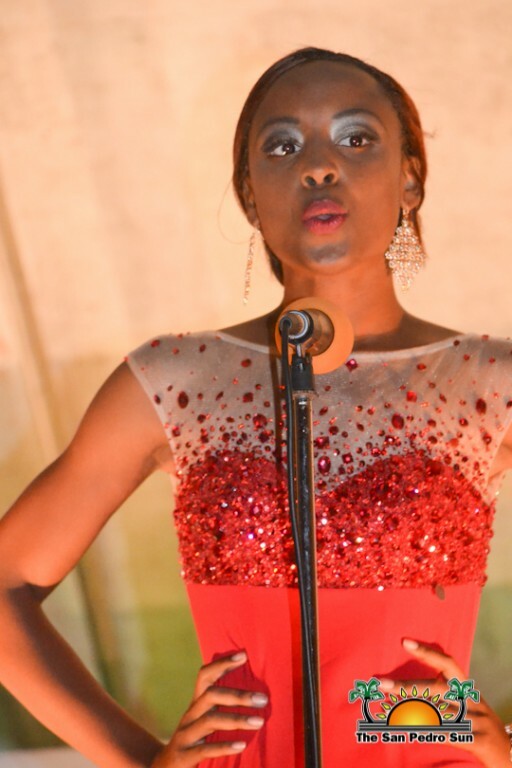 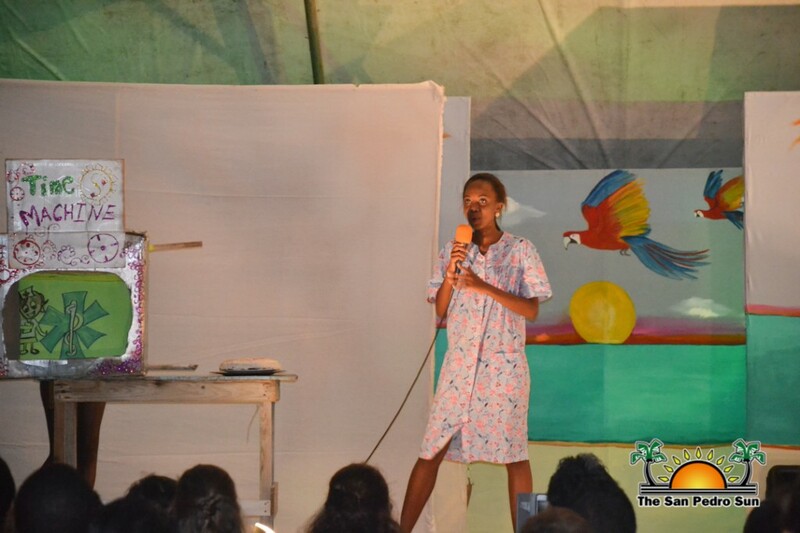 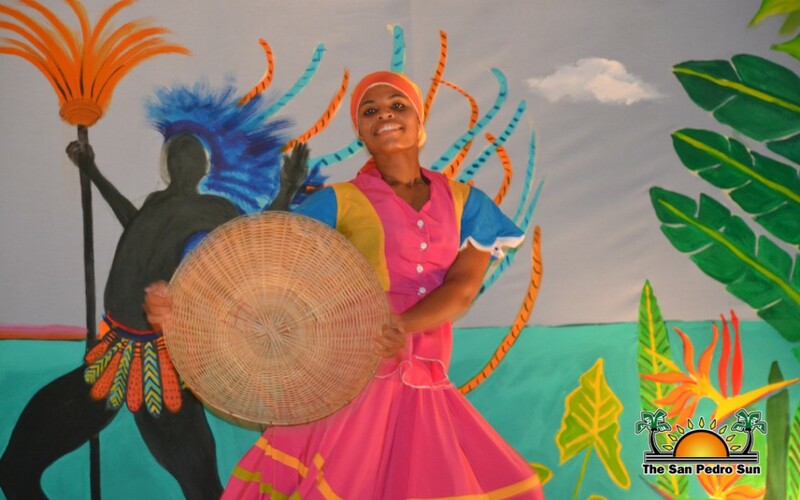 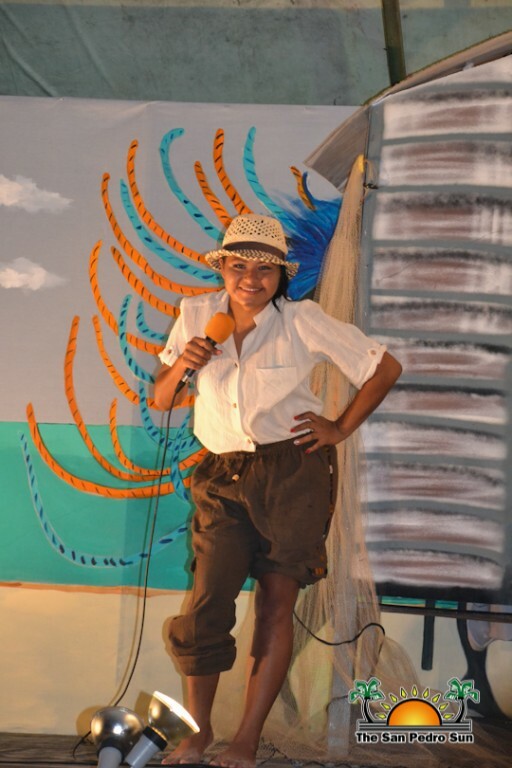 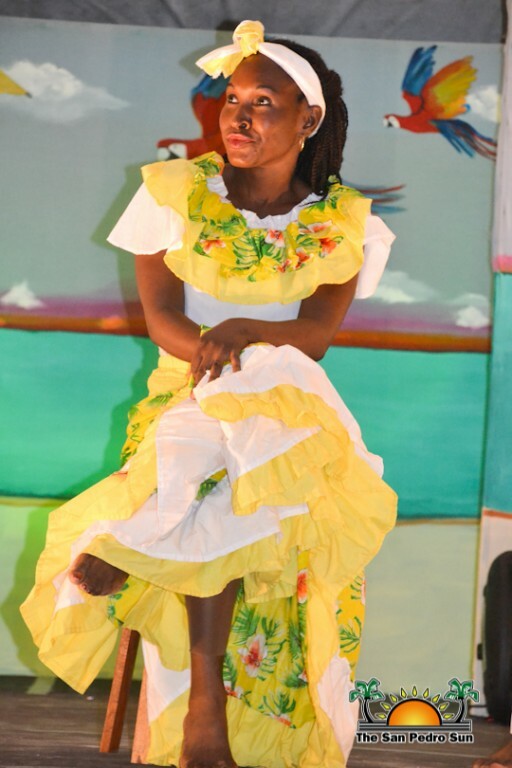 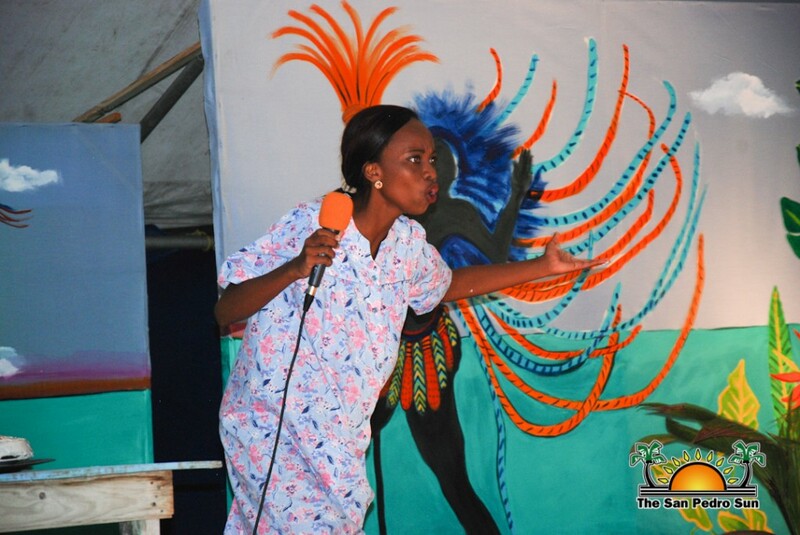 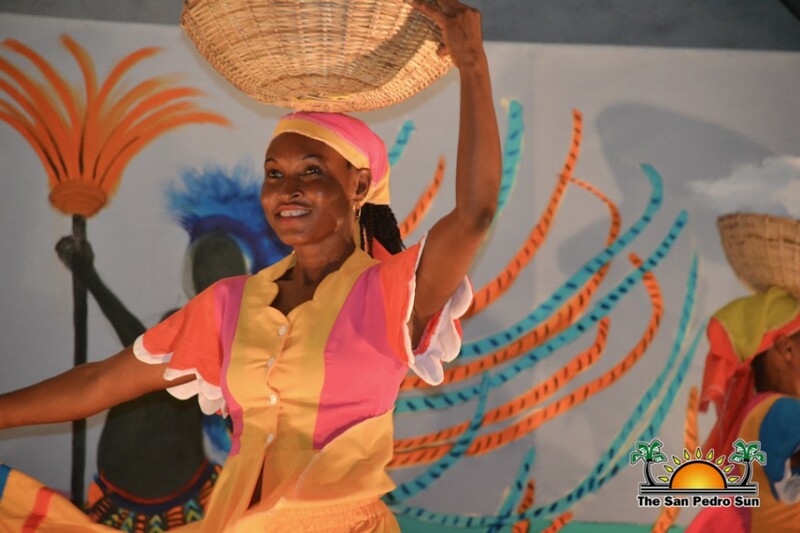 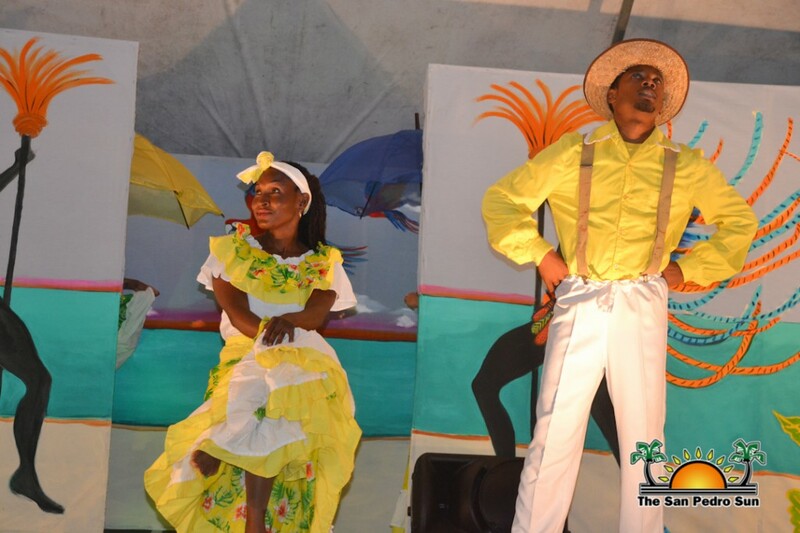 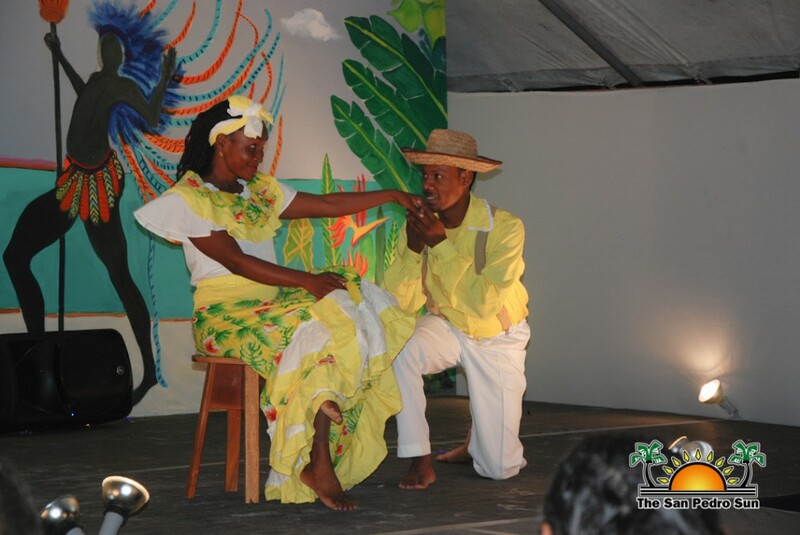 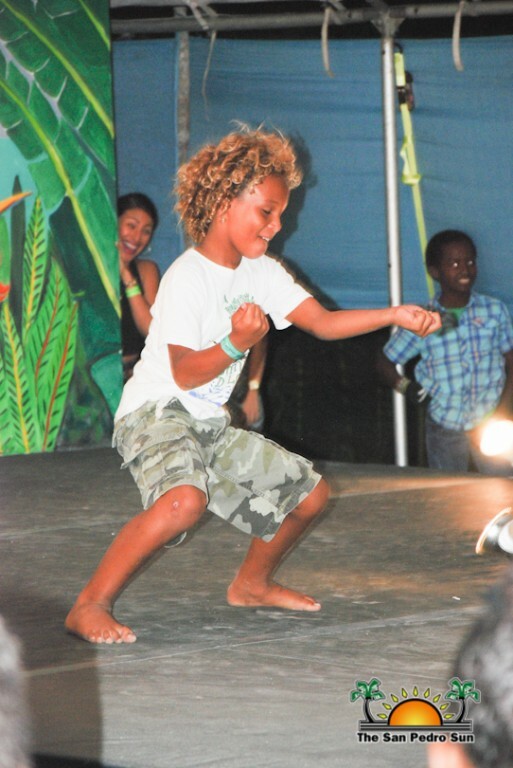 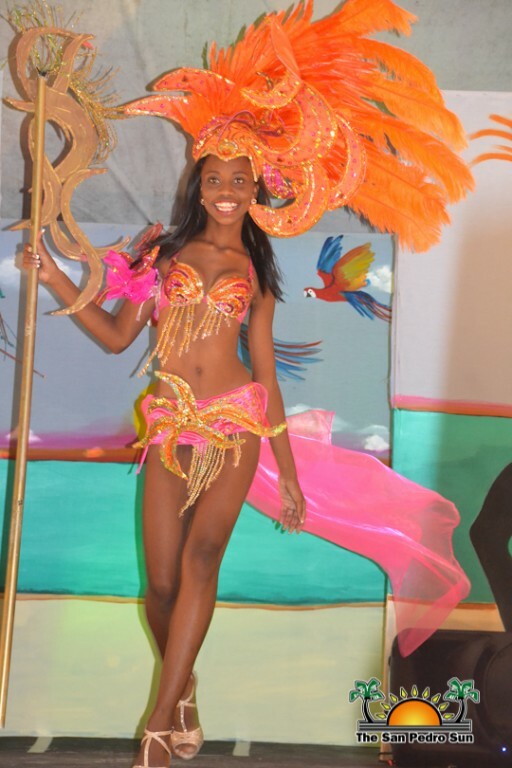 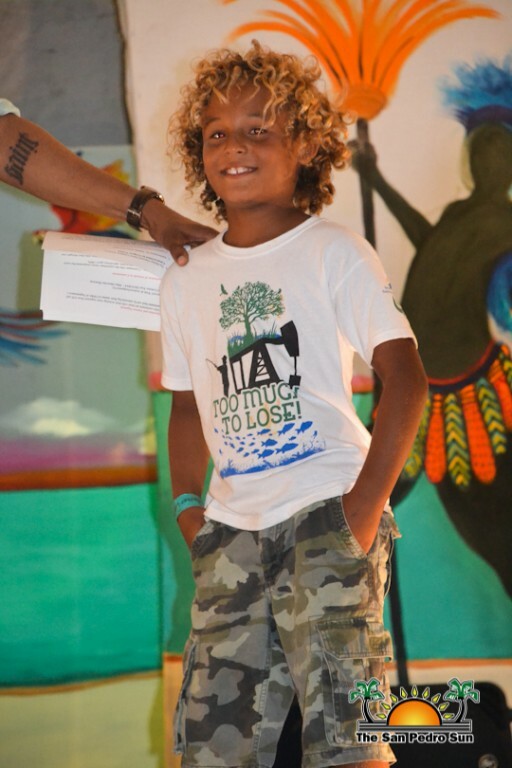 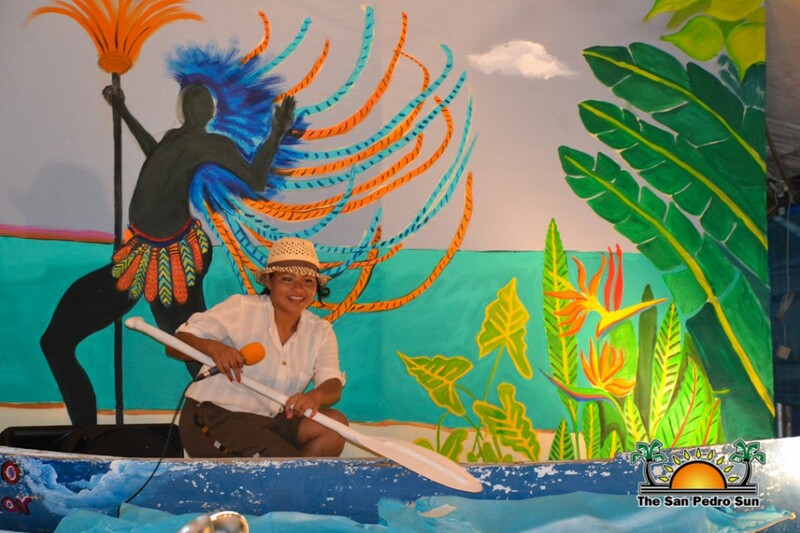 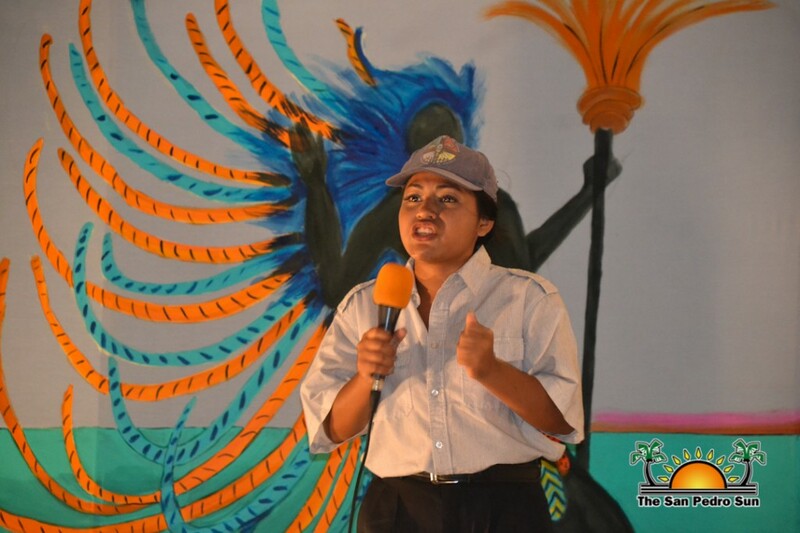 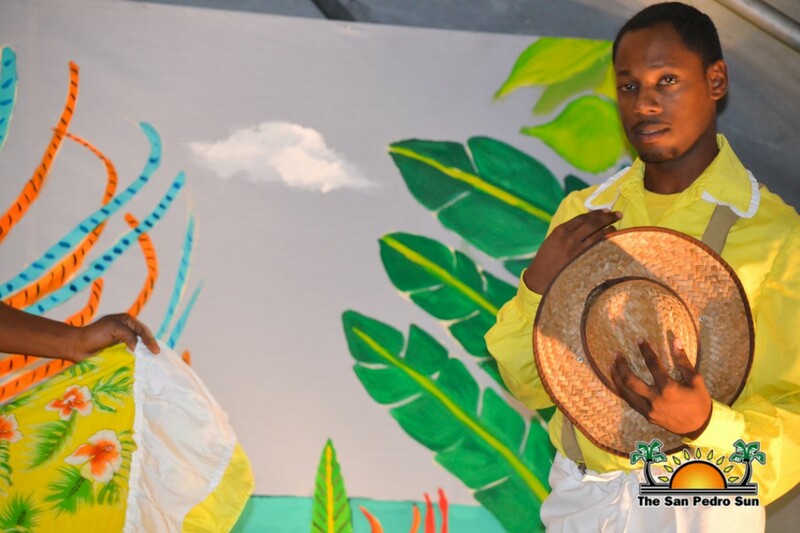 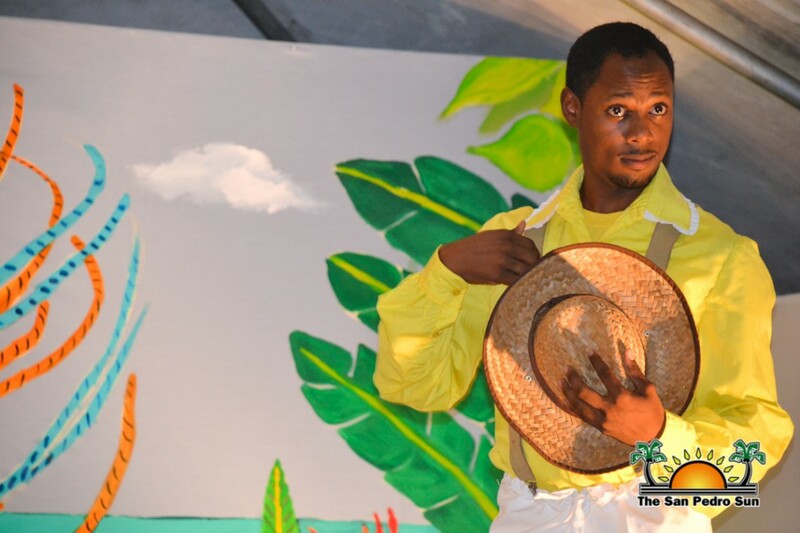 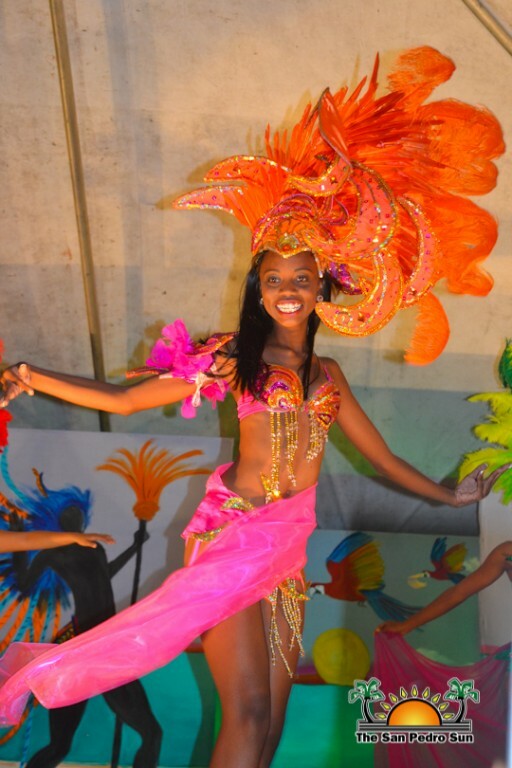 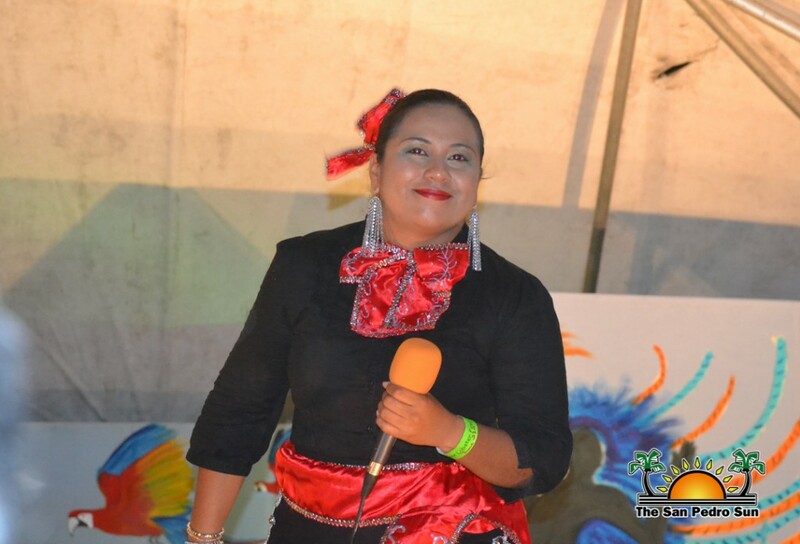 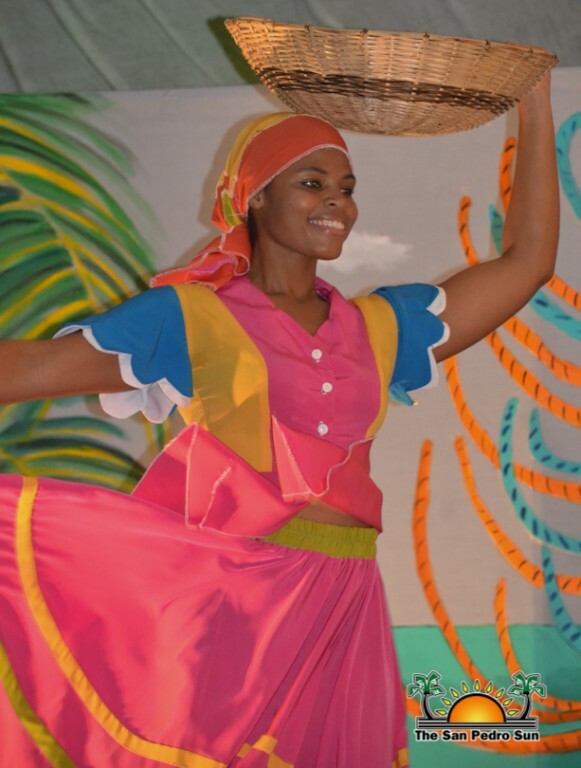 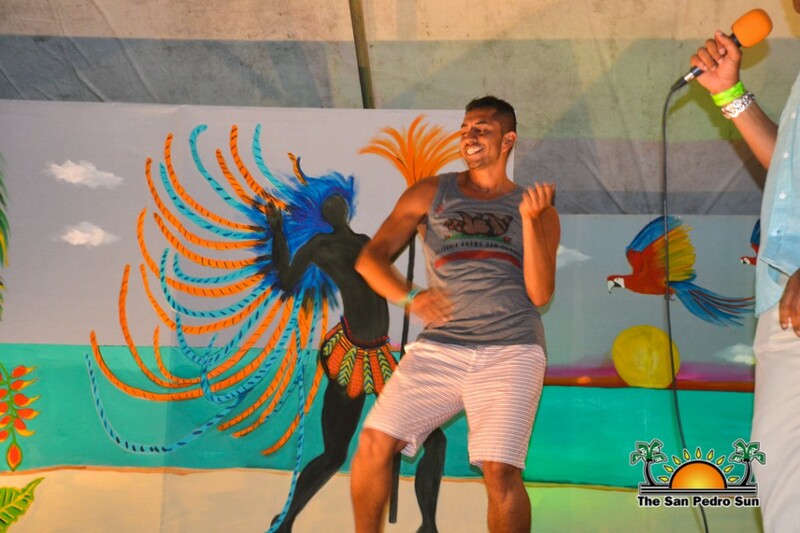 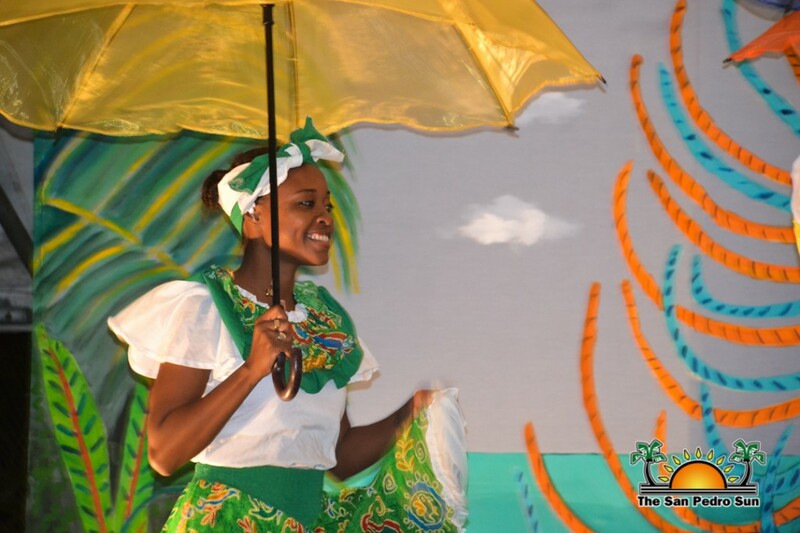 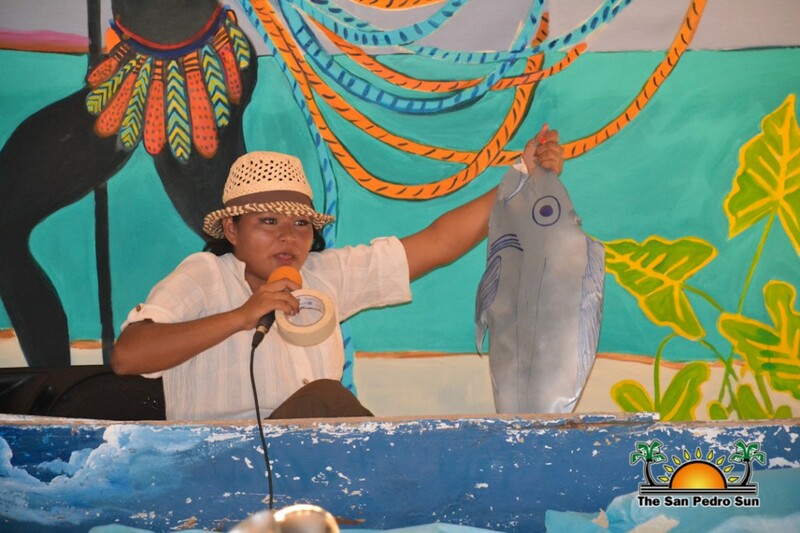 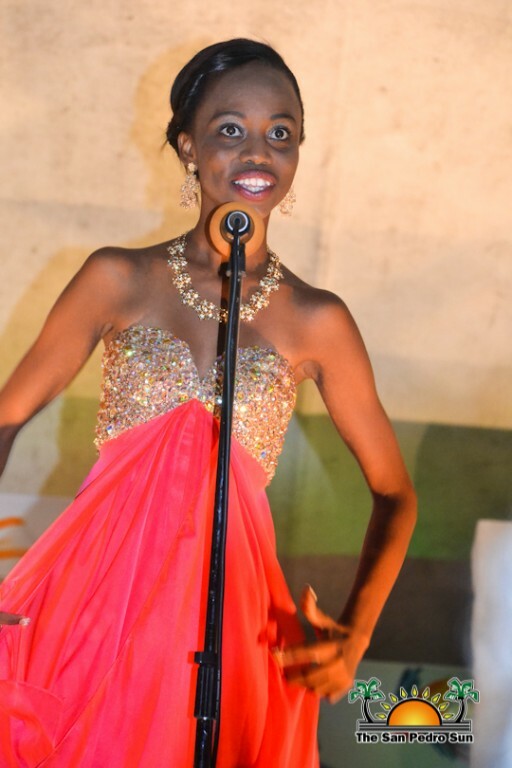 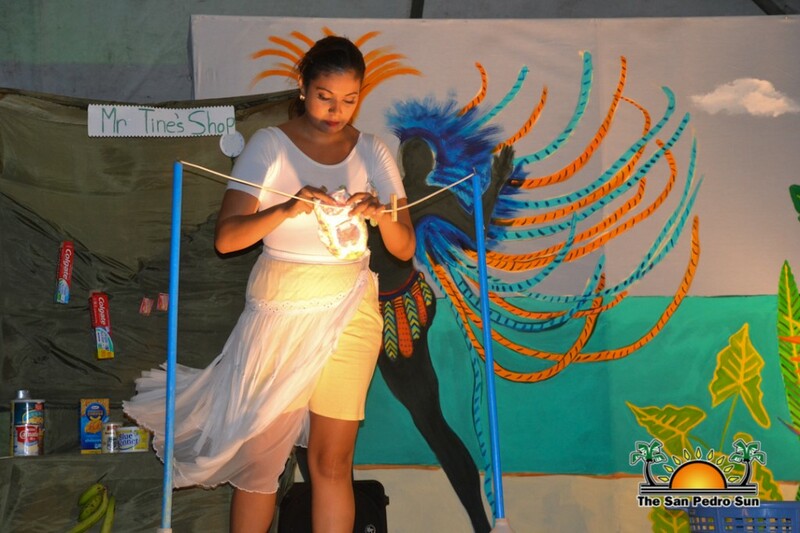 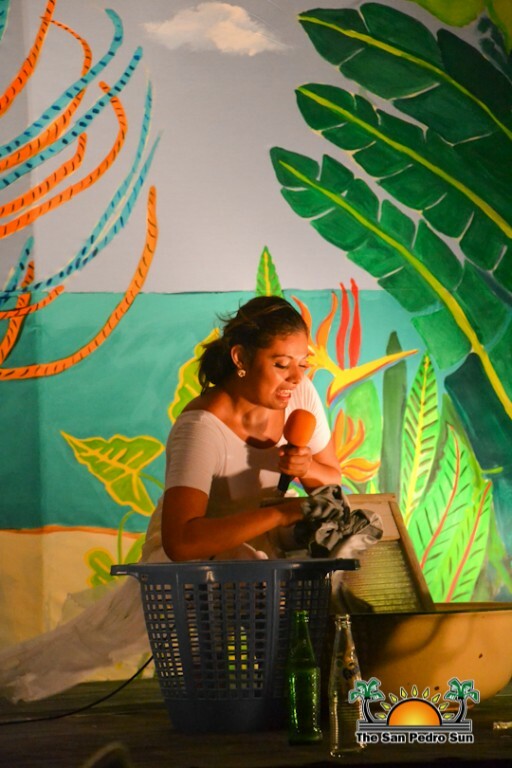 For the talent segment of the pageant each contestant was tasked with creatively portraying a local character that was once a vital part of the island. 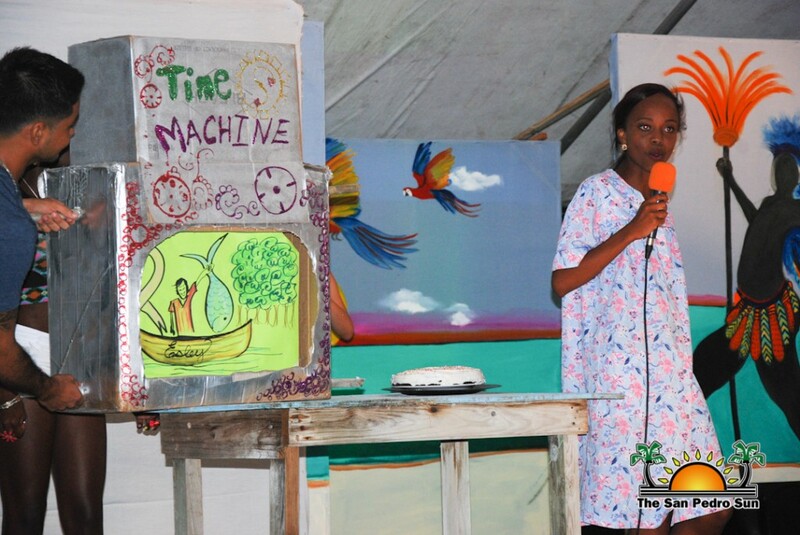 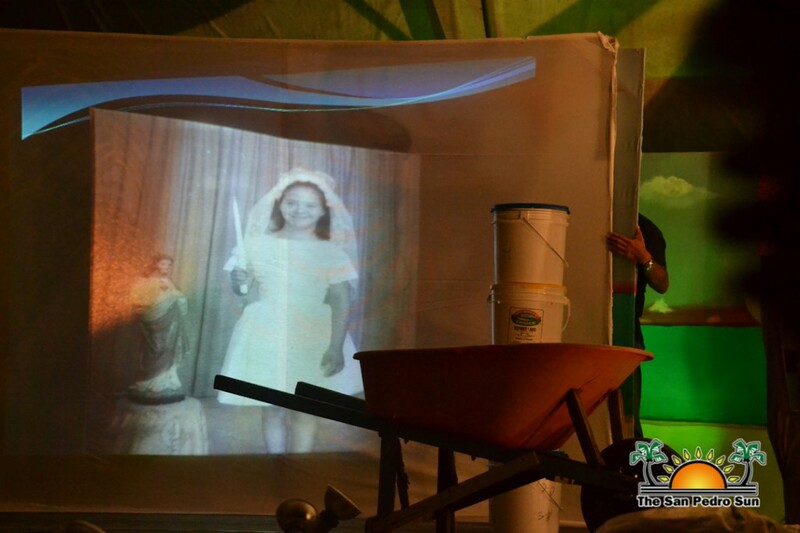 Using slide shows, props from clotheslines to boats to wheelbarrows, music, dance and even a Time Machine, each contestant resurrected warm and sometimes amusing memories of those whom many in the community still remember. 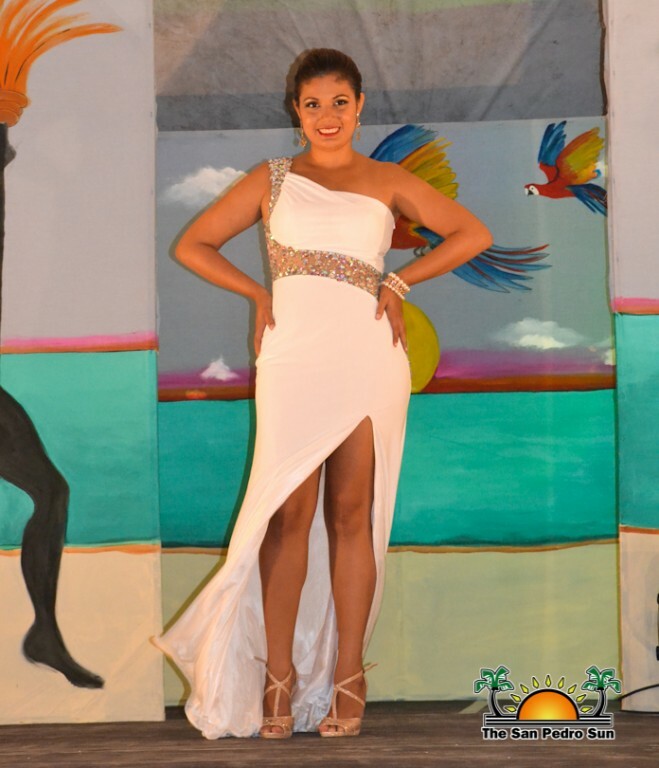 Of course the evening gown segment is one everyone looks forward to, and the ladies did not disappoint. 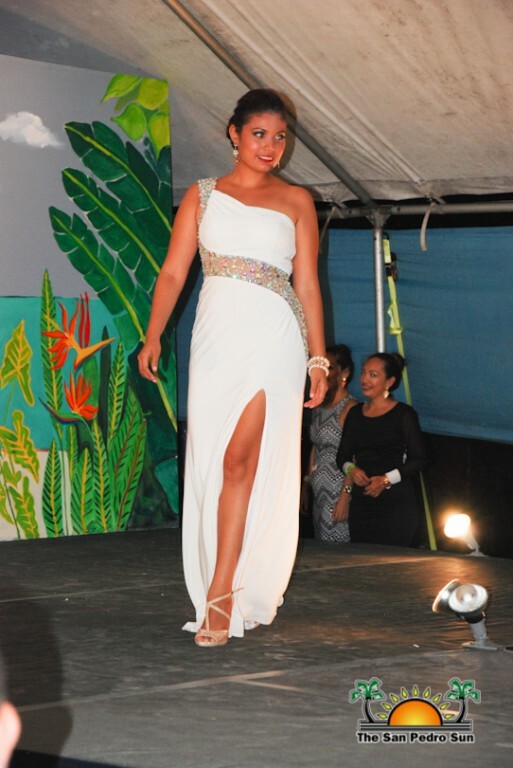 Glamorous and owning the stage like a professional, each contestant radiated poise and confidence as she modeled her gorgeous gown. 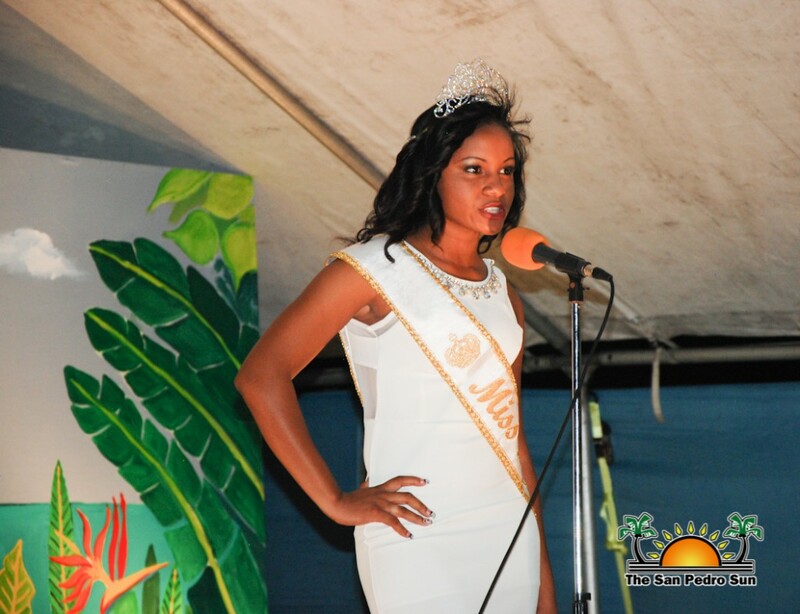 The captivating “Question and Answer” segment followed, with tough issues such as growing development on the island being addressed. 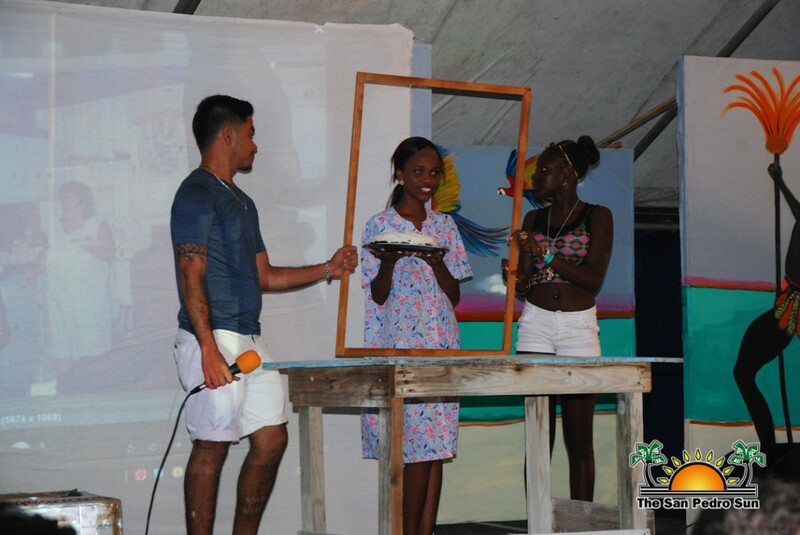 The contestants were well prepared and responded with thoughtful answers. 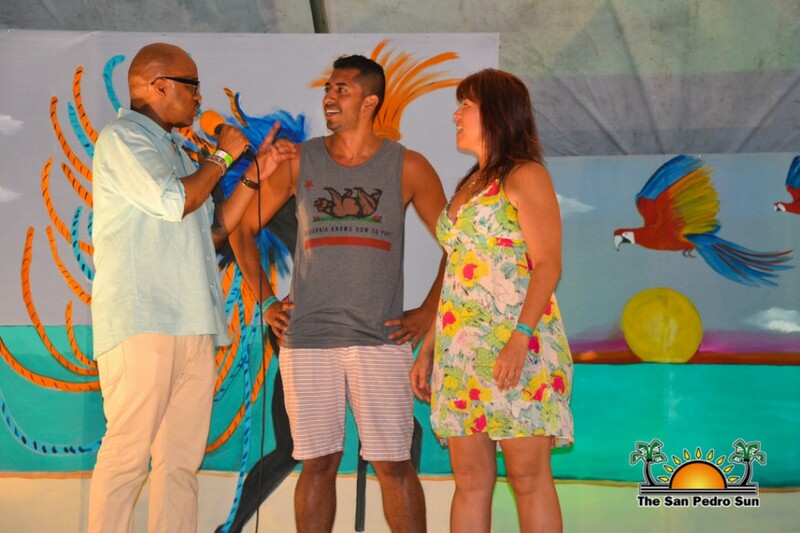 The judges, Tanisha Vernon, Dorian Nuñez and Indira Craig had the arduous task of choosing the winners. 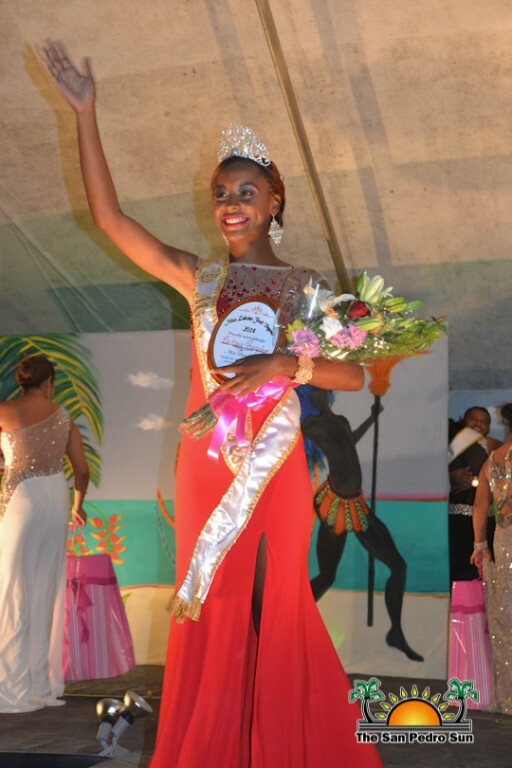 After their deliberation and while the auditors tallied the votes, out-going queen Sherylee Dawson took to the stage for her farewell walk. 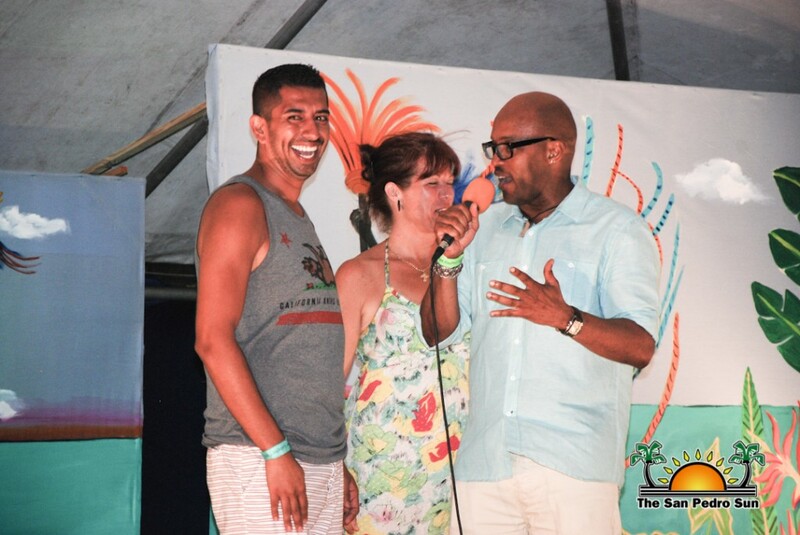 Mr. Neal took great pleasure in tantalizing the audience with the announcement of the winners, starting with category awards first. 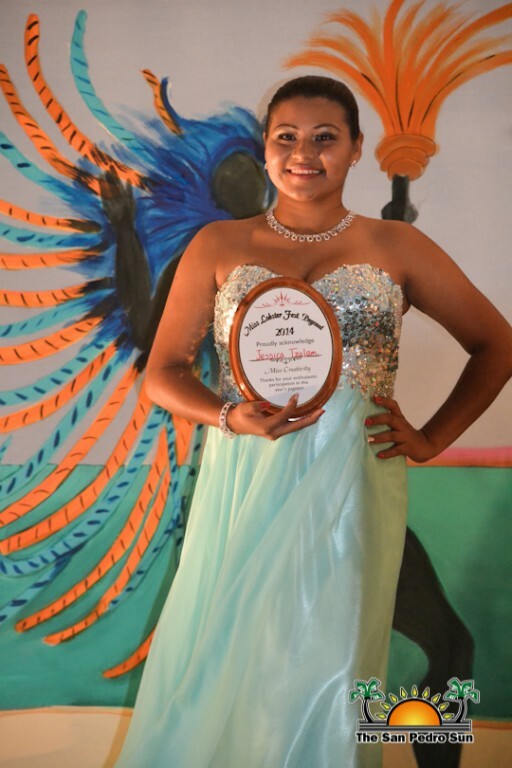 Veida Gomez was awarded Miss Cooperative and Miss Popularity. 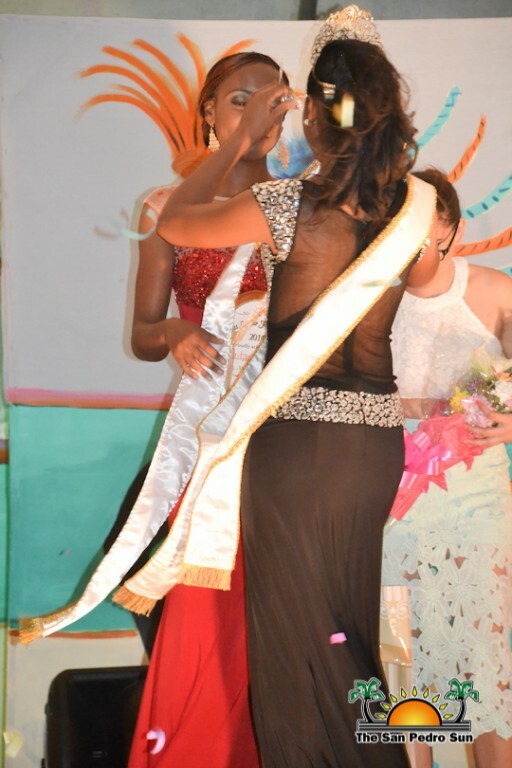 Jolene Williams received Miss Amity, Jessica Tzalam was awarded Miss Creativity and Britany Ysaguirre was voted Miss Photogenic. 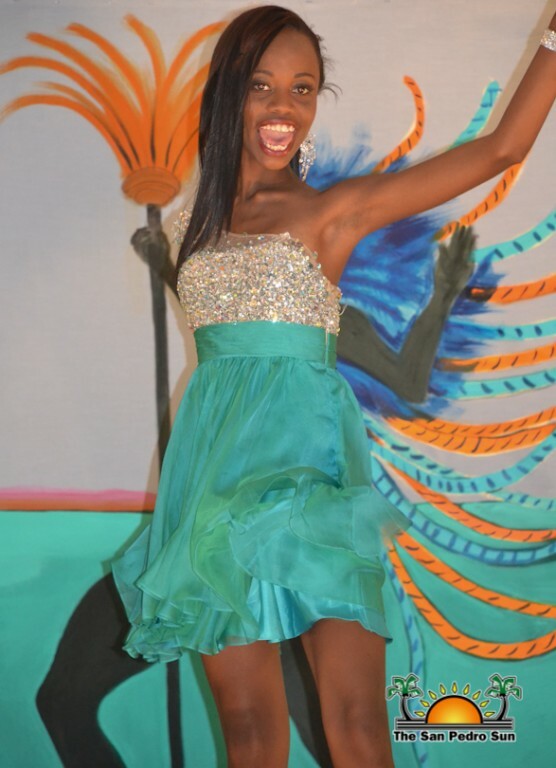 Then the most exciting news was announced. 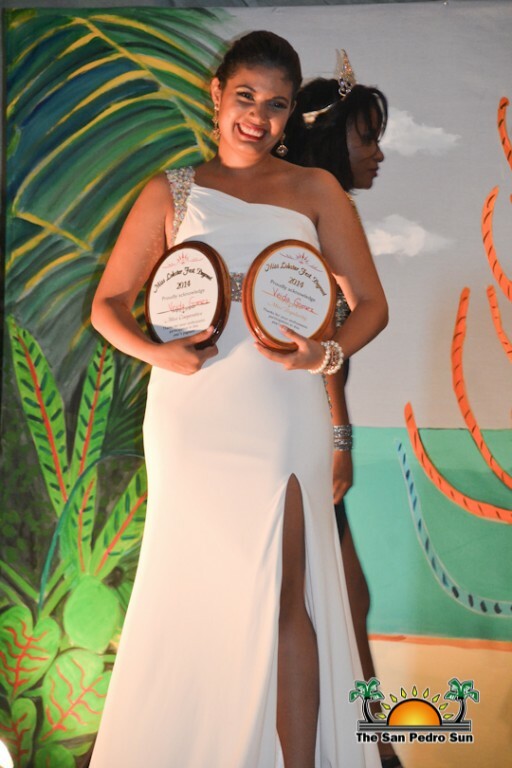 Veida Gomez was awarded third place and Jolene Williams took second place. 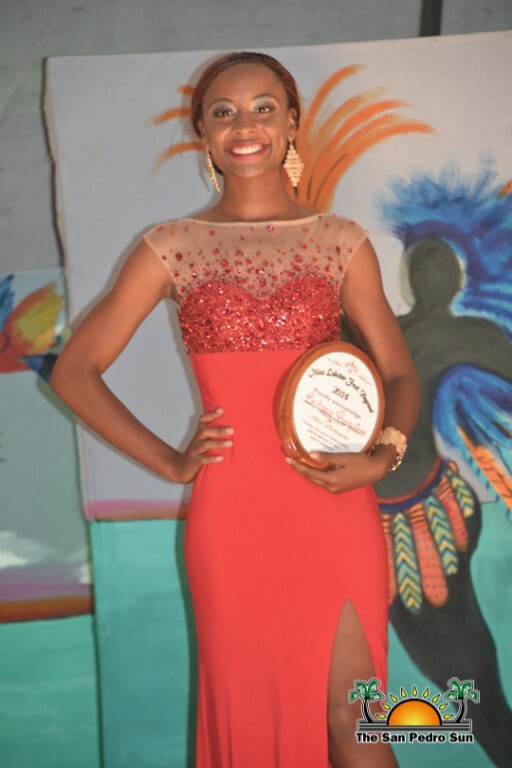 Williams, who hopes to be a secondary school teacher,received a $1,000 educational scholarship and several gift prizes. 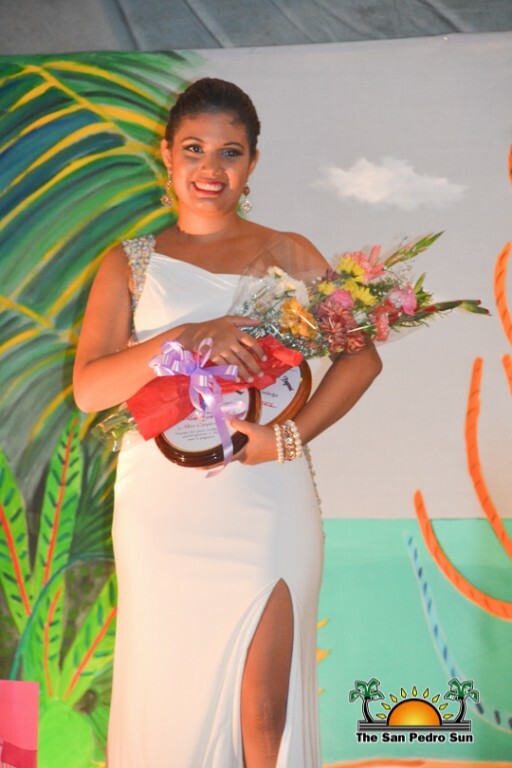 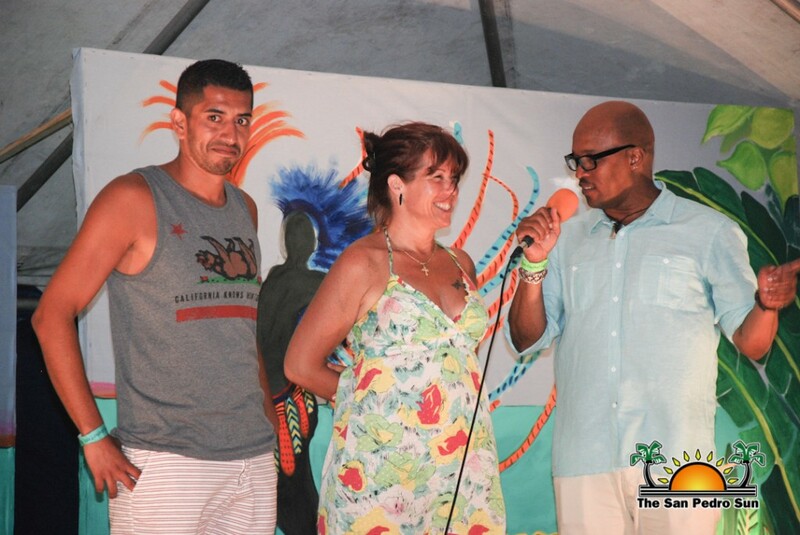 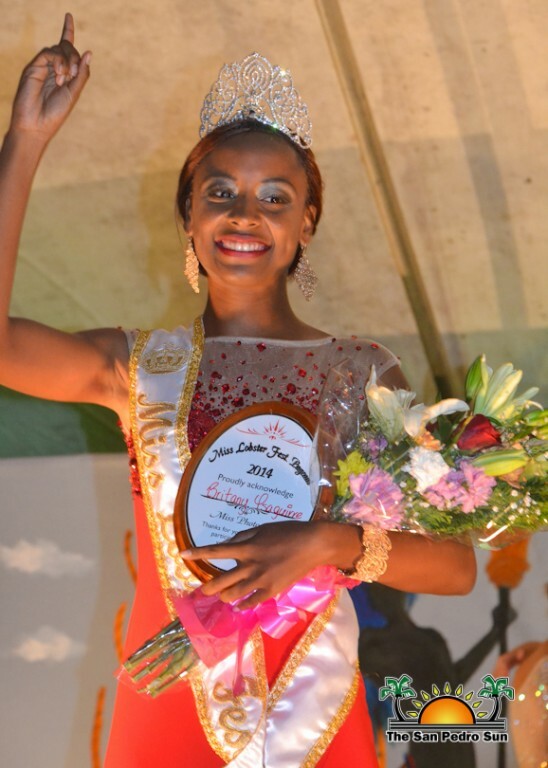 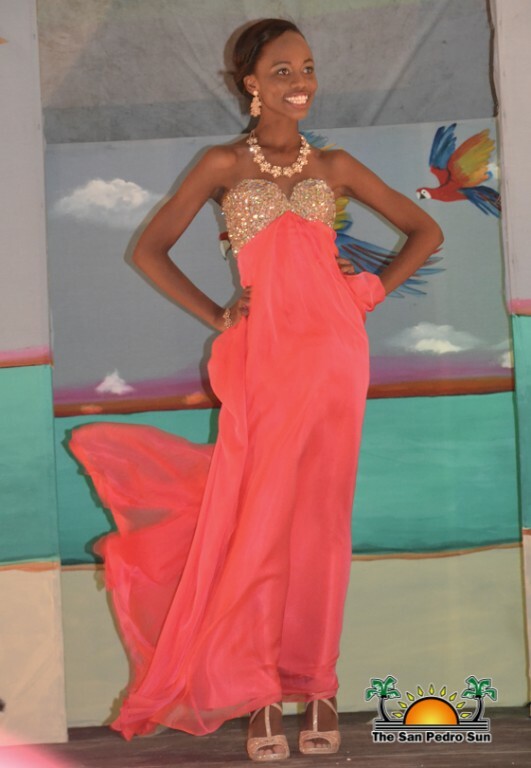 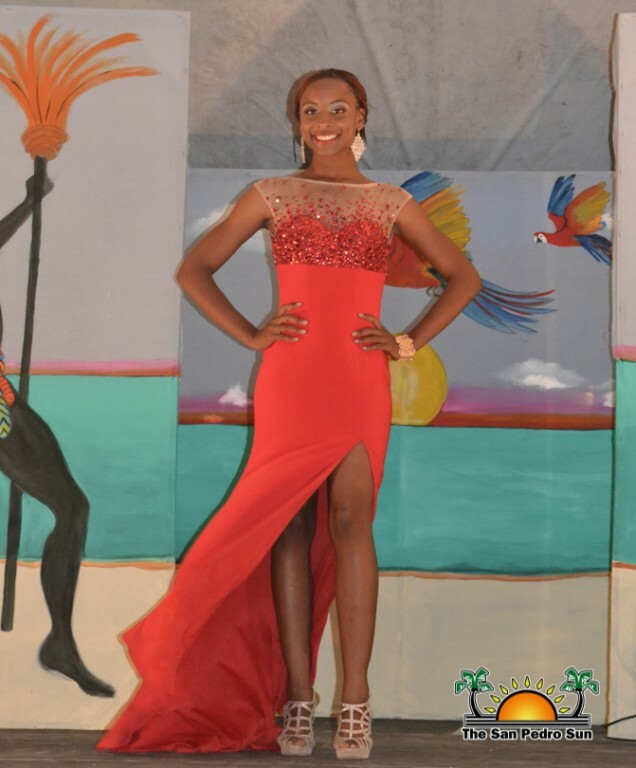 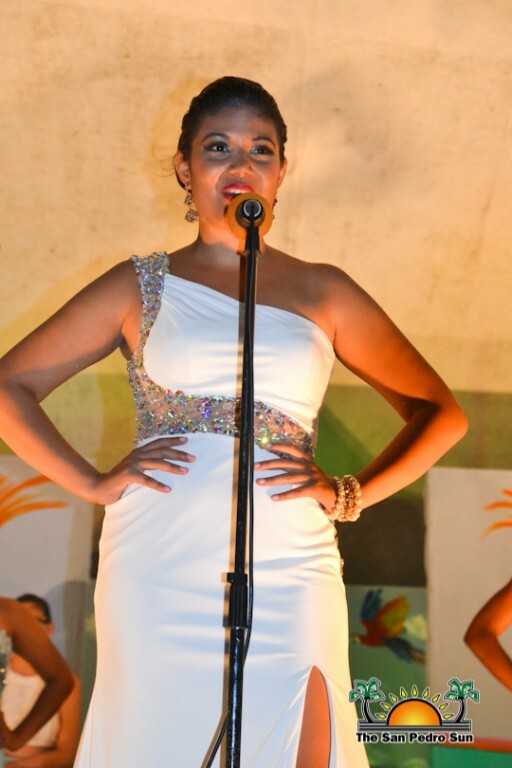 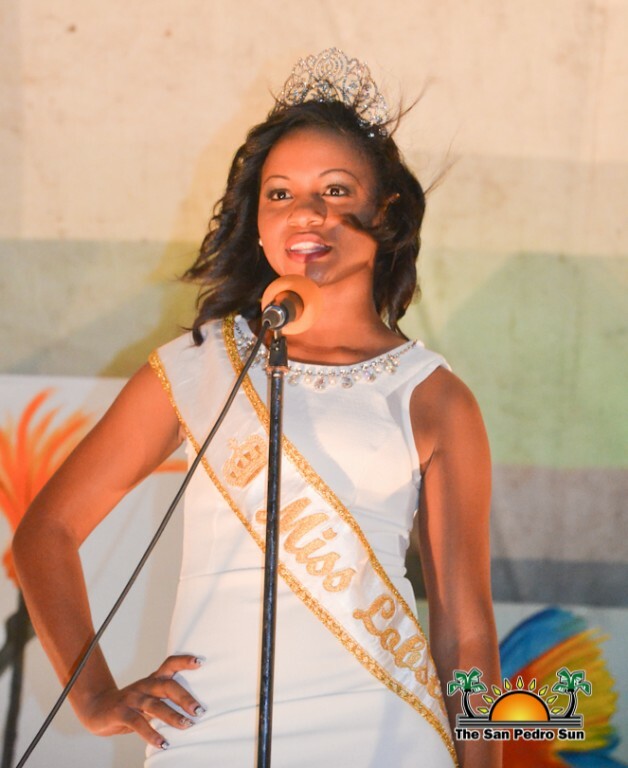 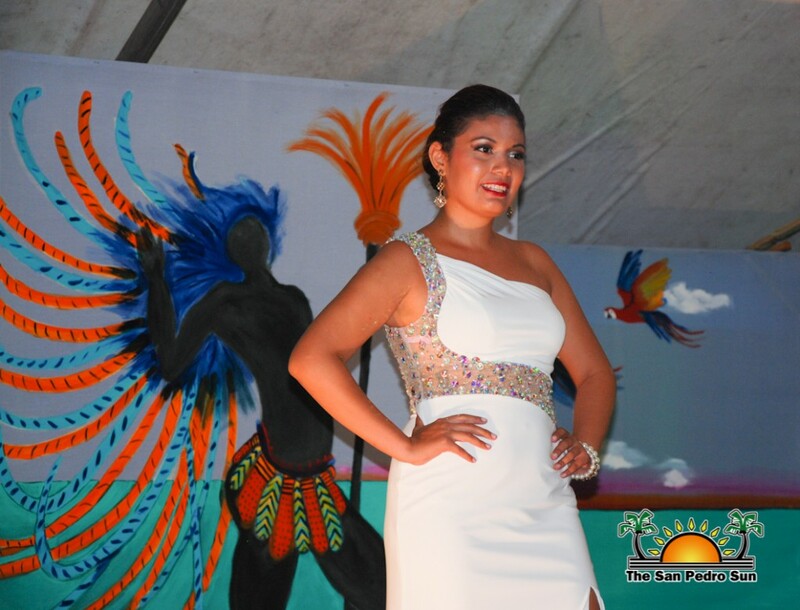 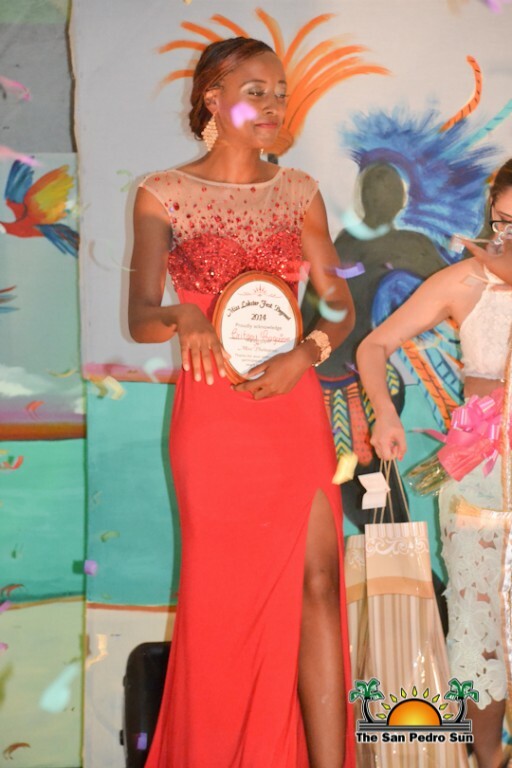 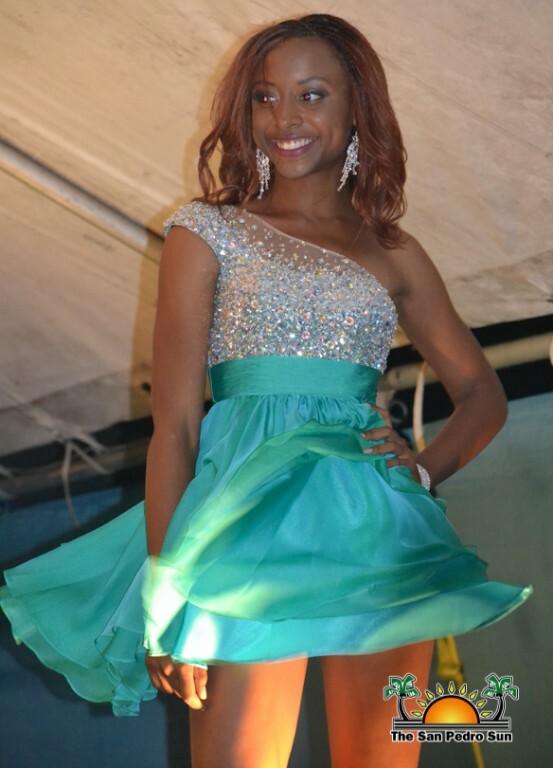 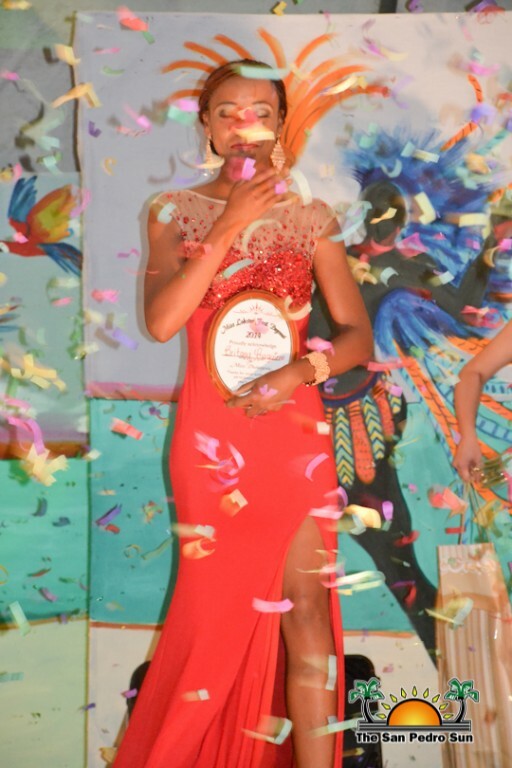 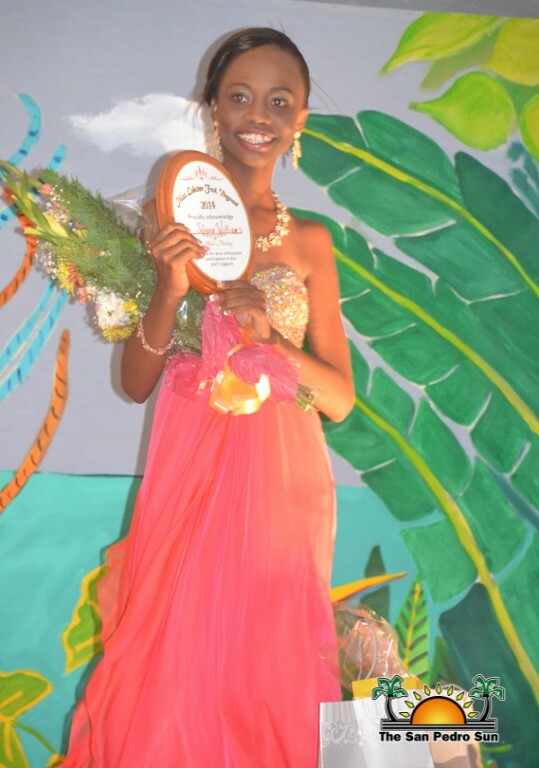 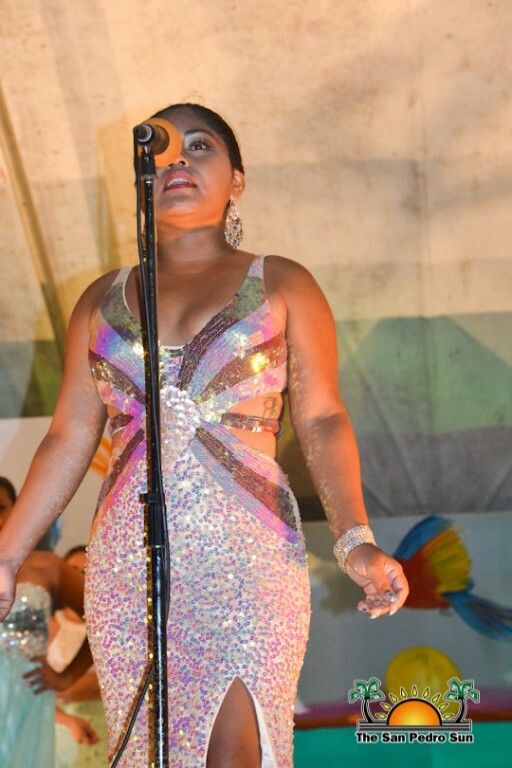 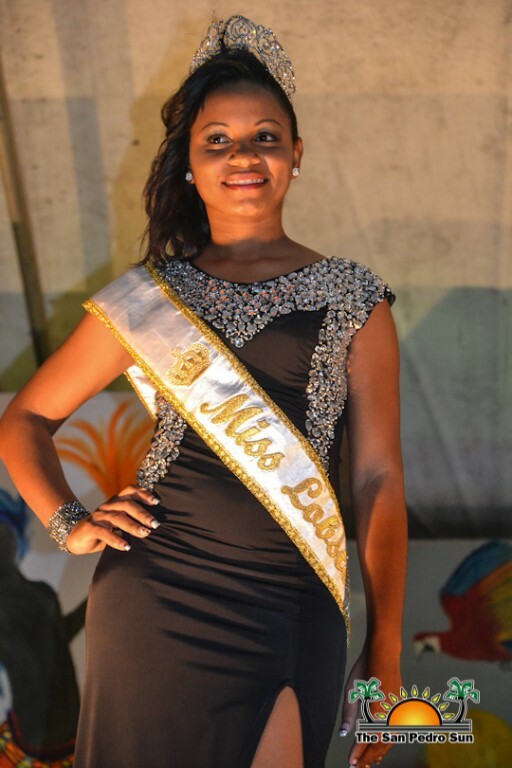 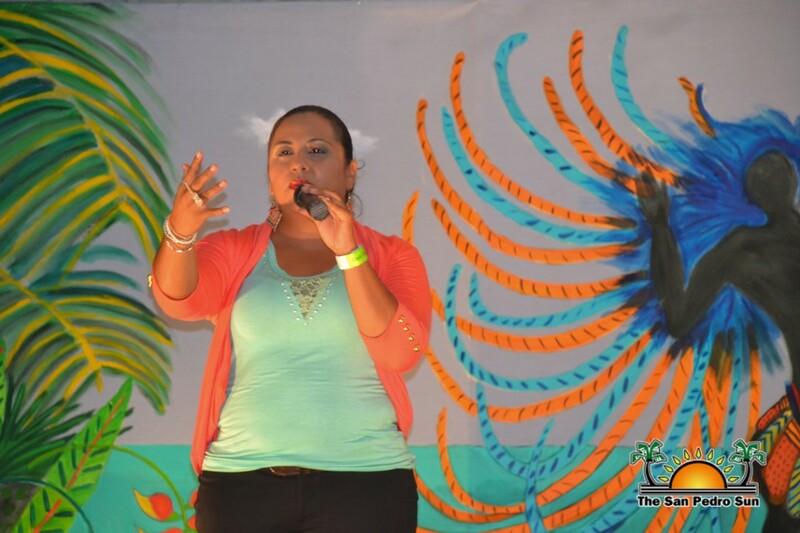 Britany Ysaguirre was crowned Miss Caye Caulker Lobster Fest 2014-2015. 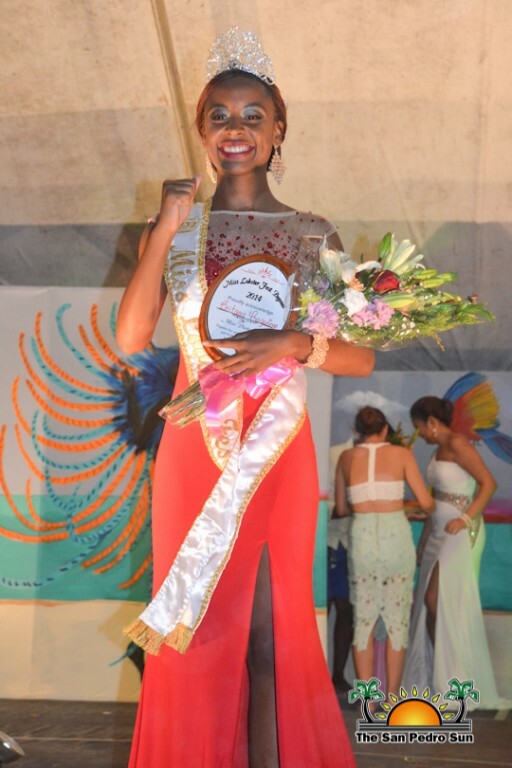 Ysaguirre, who aspires to be a child psychologist, received an educational scholarship valued at $4,000 along with gift packages, photo shoots and complimentary weekend stays at luxury resorts. 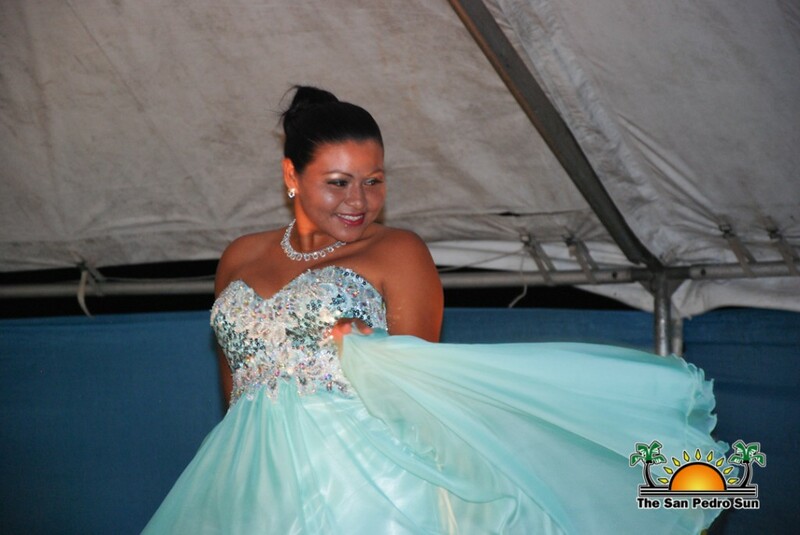 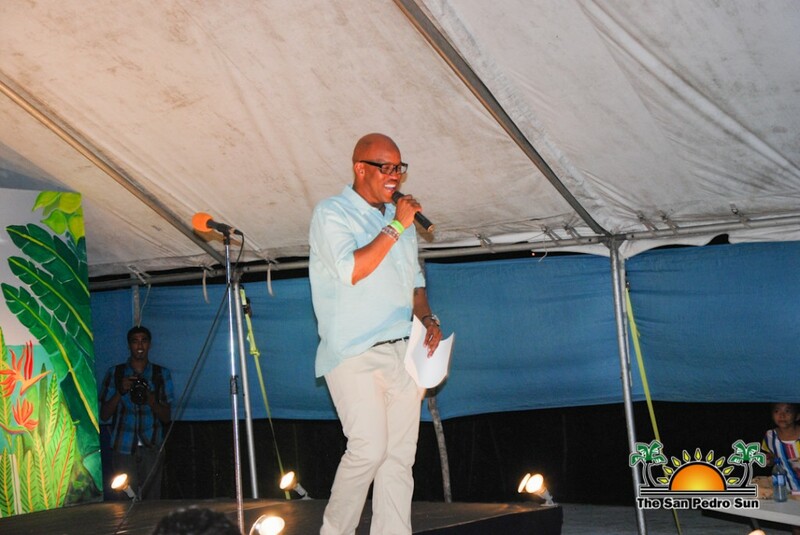 Following the pageant, a dance was held at the venue with DJ Chris of Tagg International. 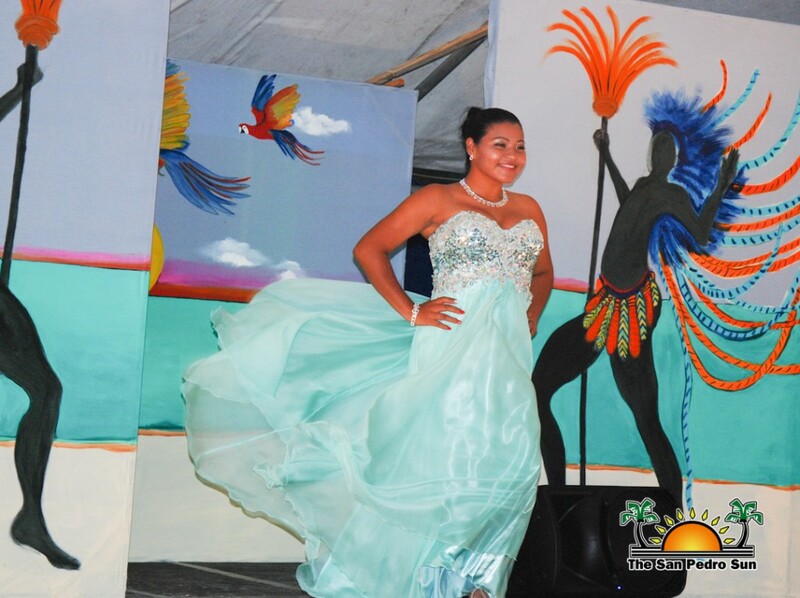 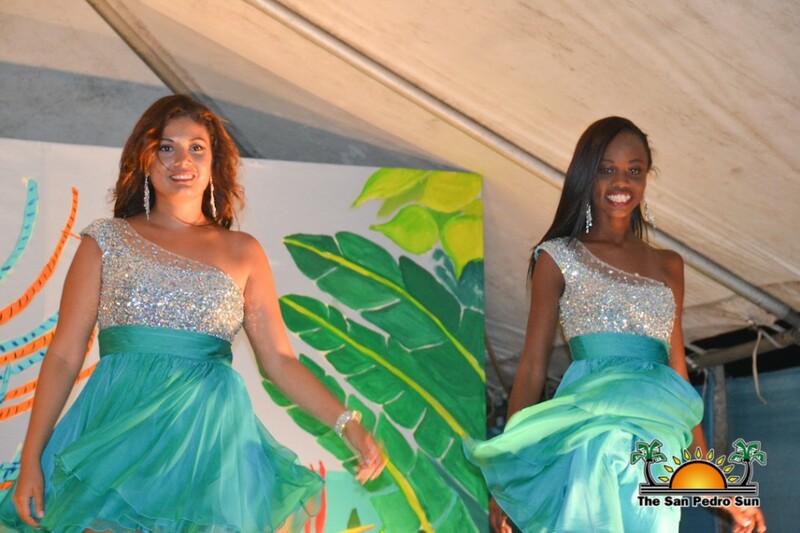 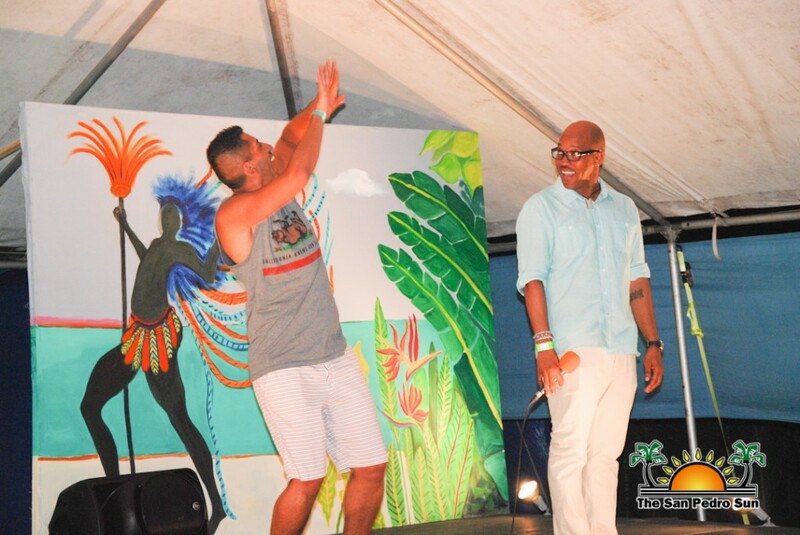 The Caye Caulker Lobster Fest Pageant committee congratulates the contestants and would like to thank all of the sponsors and those who were instrumental in making the evening a grand success.